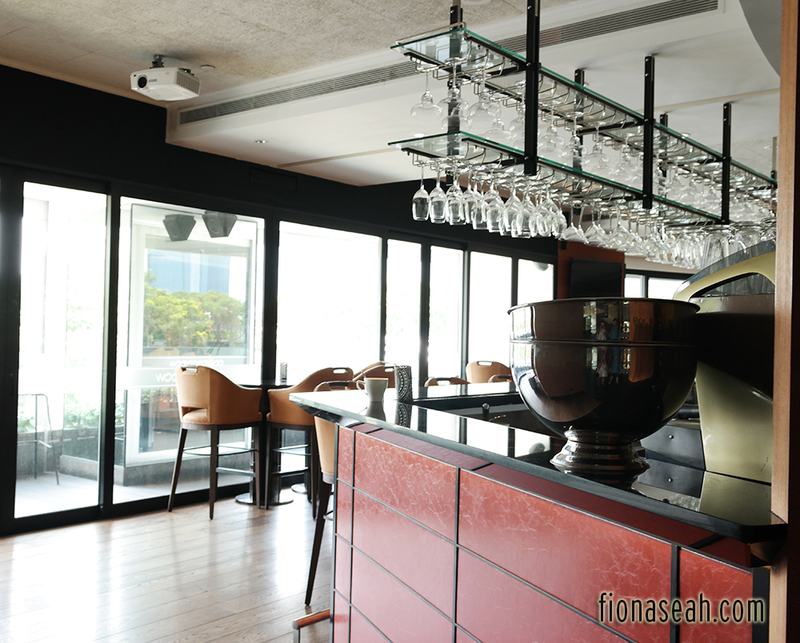 After much dilly-dallying, I finally got to meet my girls from Folks Like Us for lunch on Tuesday at this quaint little hidden treasure at Ann Siang Hill which Atheena was raving to us about. 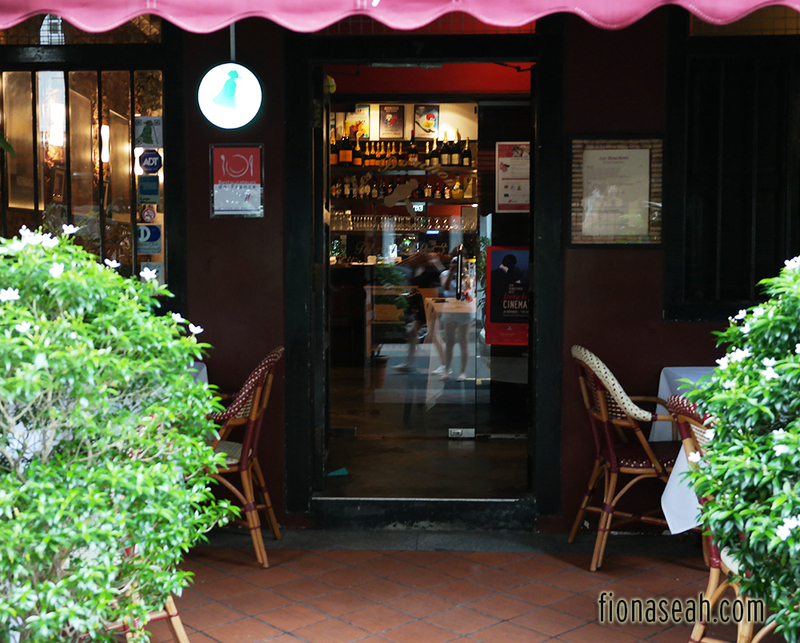 It also marked my first trip to Ann Siang Hill because I always had the impression that it’s very inaccessible (and that there were more bars than anything else, thus it’s also very popular spot for expats). But now with the newly built Telok Ayer MRT station, you can easily get there within 7 minutes. Reservation is necessary due to very limited seating at Les Bouchons. Upon entering the French restaurant, you’d be surprised at how small it is. It was only able to fit 6 tables at most but there were more (probably 4) tables outdoors. I had to squeeze through a tiny gap between two tables to get to my seat. But despite its size, the place was actually pretty cozy. It’s not some kind of high-end restaurant where you’d feel pressured to put up a demure front because everyone would be dressed casual and chatting so heartily during meal. But that does not mean that the food is going to be of low or mid-range standards.. well, maybe except for the complimentary bread basket. The bread came tough and stubborn so we had to request for it to be heated to make it softer for consumption. 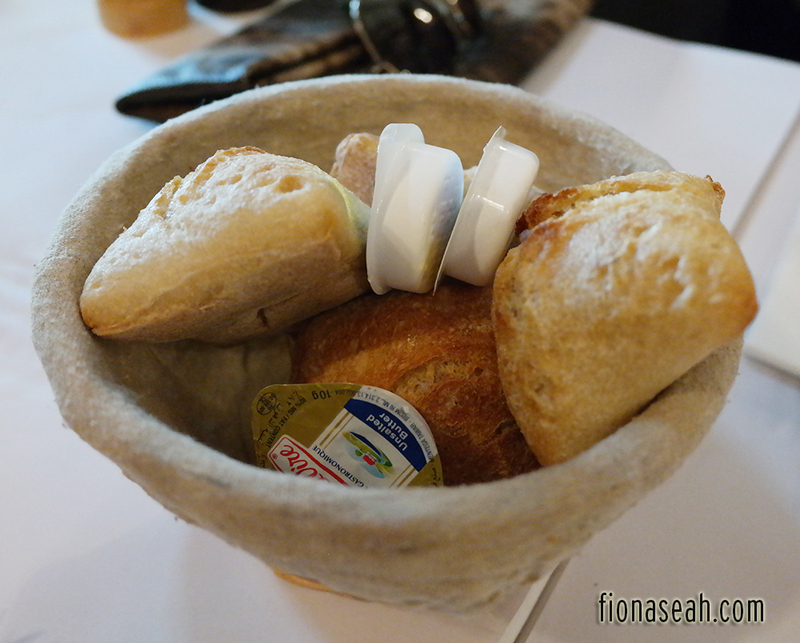 The service staff gladly complied and even added more bread to our basket. Thumbs up for great service! 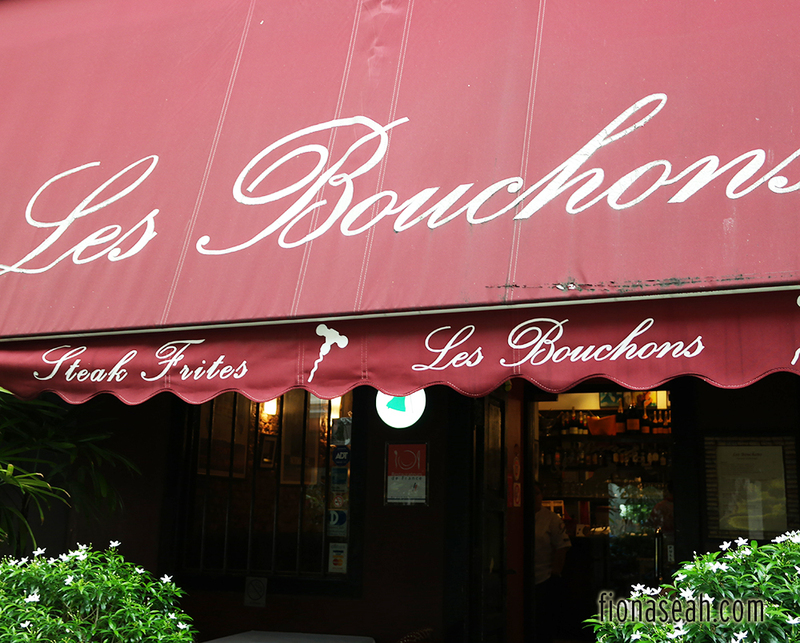 At Les Bouchons, you can expect to find standardised prices for their entrées and plats (main course). 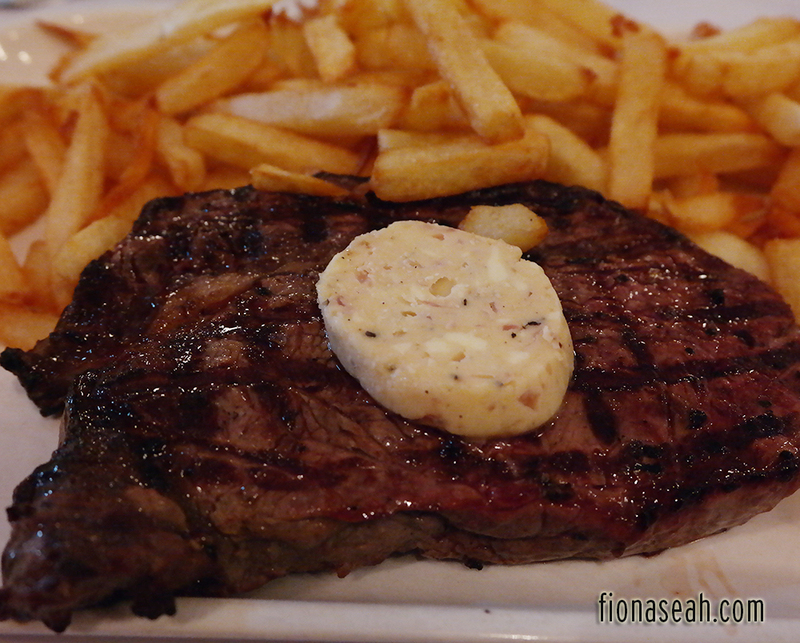 All entrées are priced at S$18++ while plats (including their Ribeye and Sirloin Steak) are at S$38.80++ each. Fairly reasonable, I’d say! A meal there would definitely not burn a huge hole in your pocket. 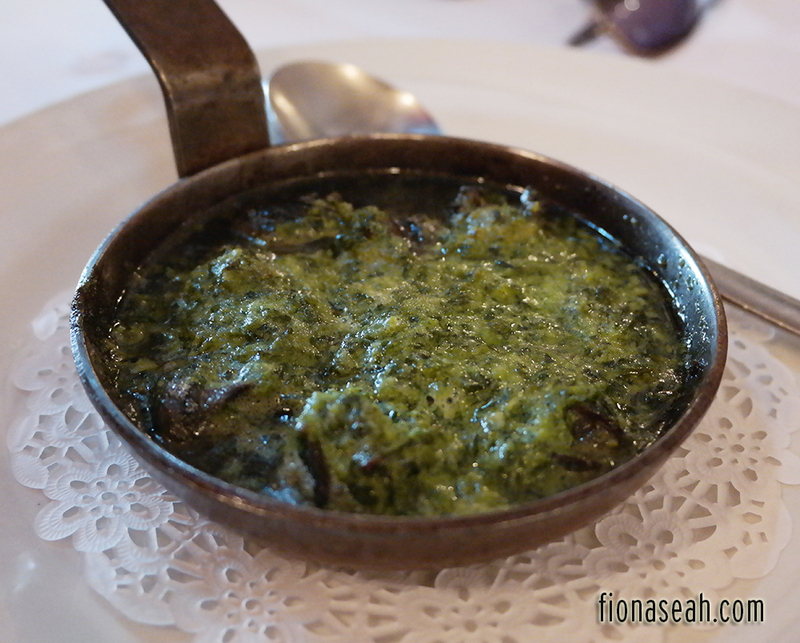 For starters, I got myself Burgundy Escargots with Garlic Butter. 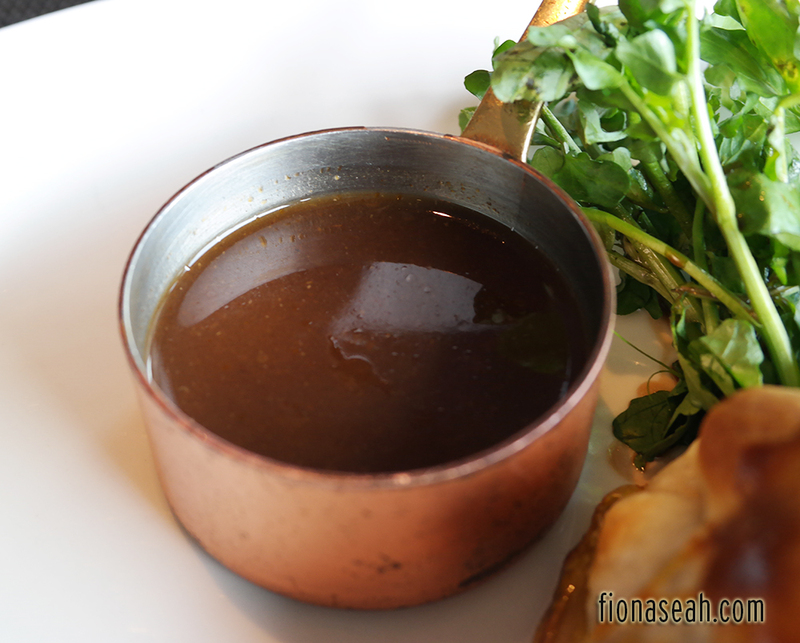 The sauce was a tad oily but it was actually quite delicious! 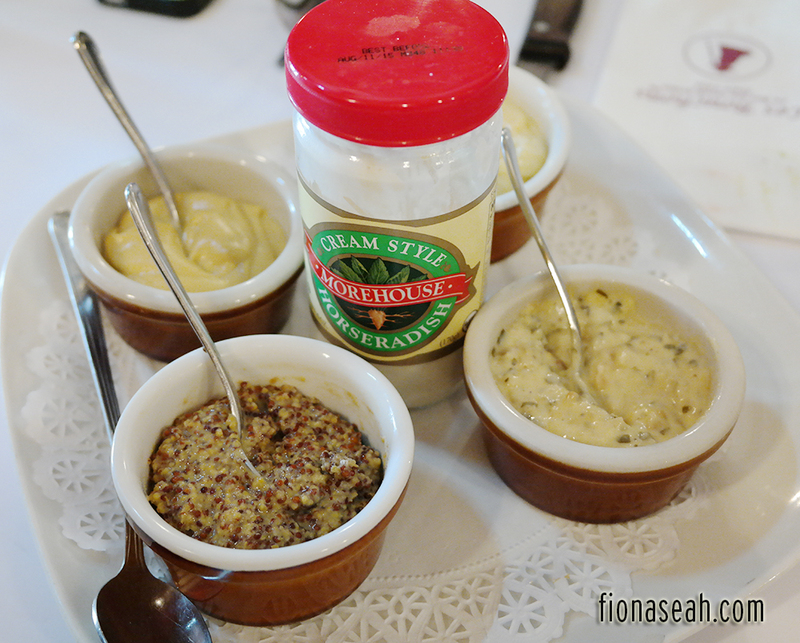 The amount of herb in the garlic butter was just right, and the sauce also made good complement to the free bread. 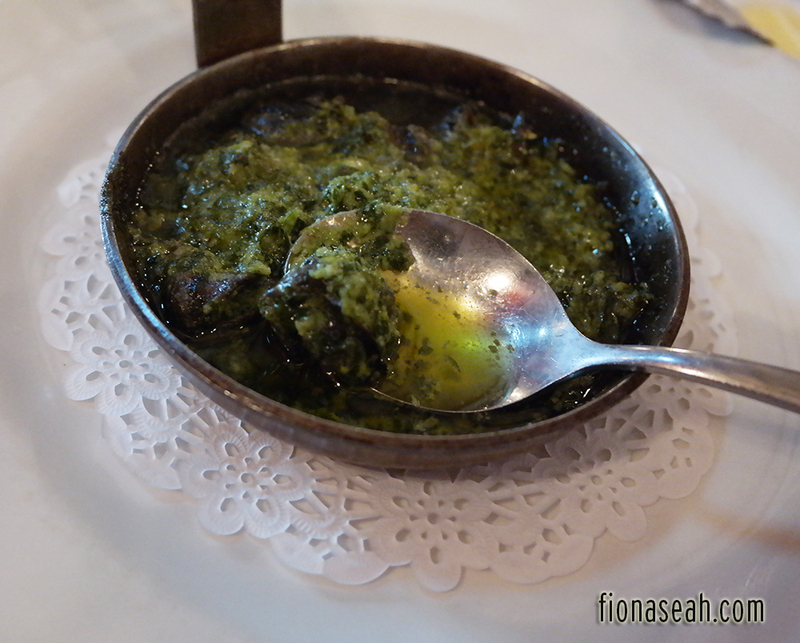 The 9 pieces of escargot were served plucked out from their shells. They were fleshy, properly salted and well doused with the butter. Classic! 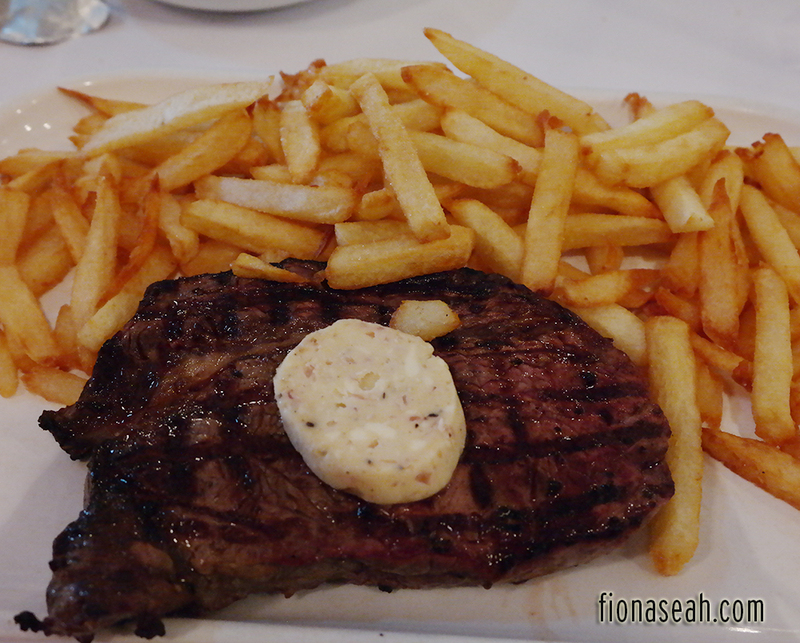 For the mains, I had Grilled Rib Eye Steak with “Vigneron” Butter. The mustards for the steak! Among them were Dijun and Whole Grain. I love the Whole Grain one the most! 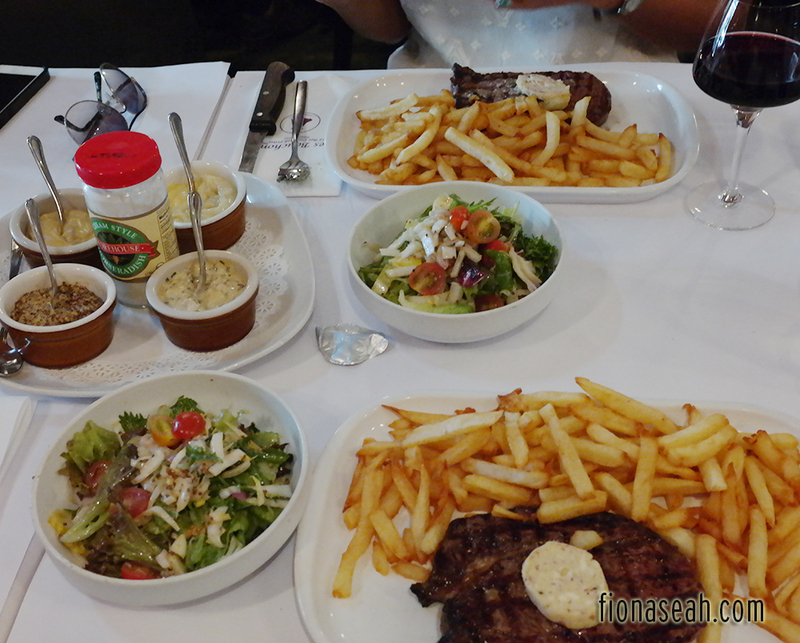 All mains come with a huge serving of salad (as can be see above) and free flow of home made french fries. The salad was made very crunchy by the generous amount of walnuts in it. The fries were simply AMAZING. I ate every single piece of it and I wished I had room for more. Basically, everything on the plate was in large portions, even the steak itself. It was so unusually big that my friend couldn’t finish hers! So ladies, if you’re going to dine at this restaurant, be sure to bring a hungry male friend along to finish the leftovers. Hahaha! Anyway, the steak wasn’t hot enough for the butter to melt instantly. Hence I had to manually spread the butter all over the steak. Temperature aside, the steak was actually grilled to perfection and it had the right amount of saltiness. Mine wasn’t too fatty and I could practically eat the entire steak without any difficulty. Needless to say, this is also extremely value-for-money! Because it deserves a close-up shot. 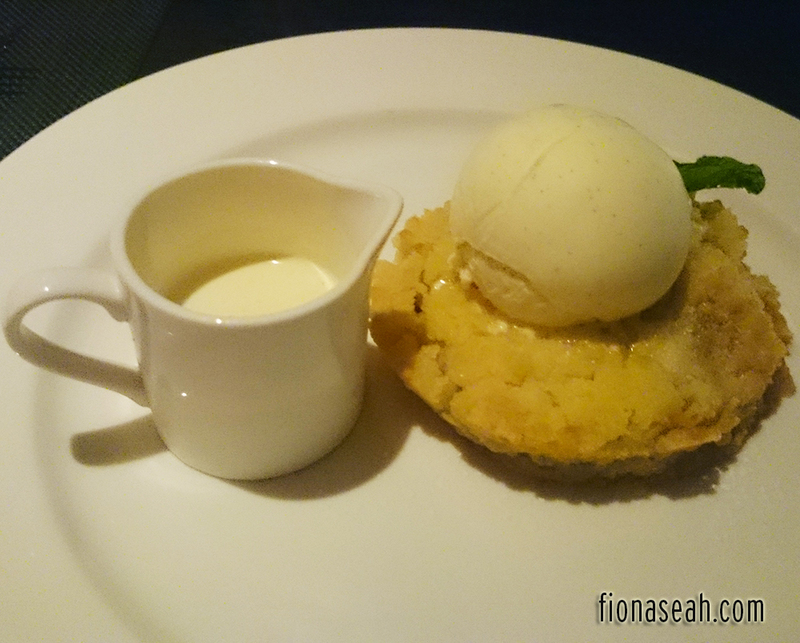 After the main course, we shared a dessert because the steak was an overkill. 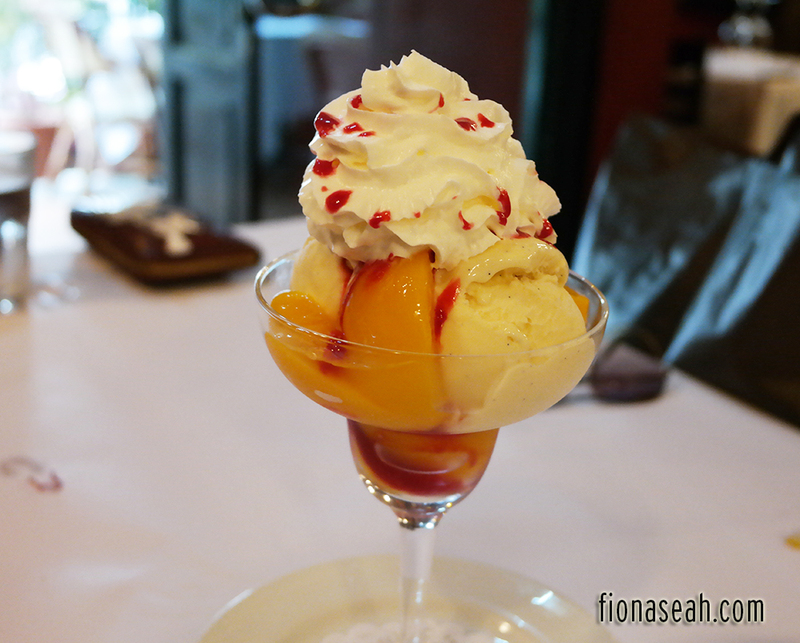 We ordered Peche Melba, a vanilla ice cream with poached peach, raspberry coulis and whipped cream. Great groupmates and friends from my university! We have another member who had already returned to the U.S. The meal in general was really good and the portions were plentiful. But this place is so underrated! It’s probably one of the rare French restaurants that don’t charge exorbitant prices for their food. 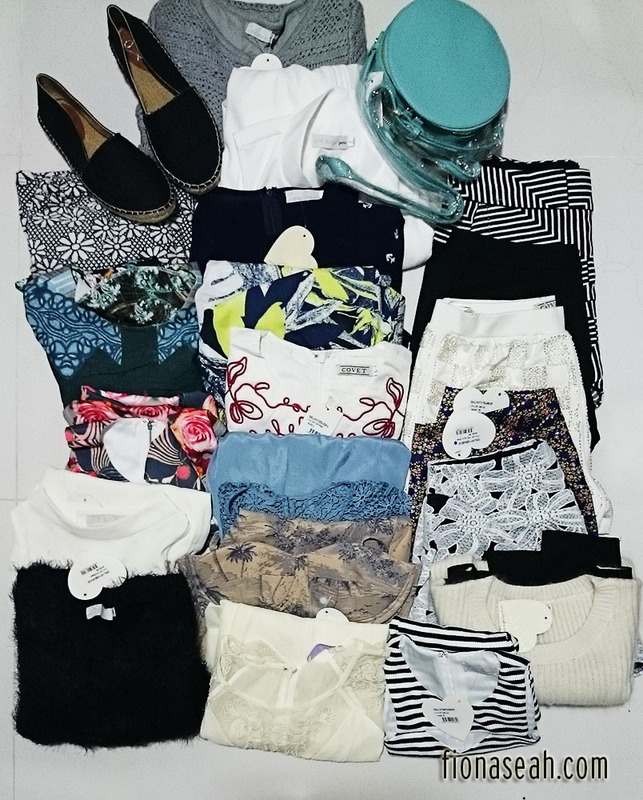 I only spent about S$67 after including all the relevant taxes. 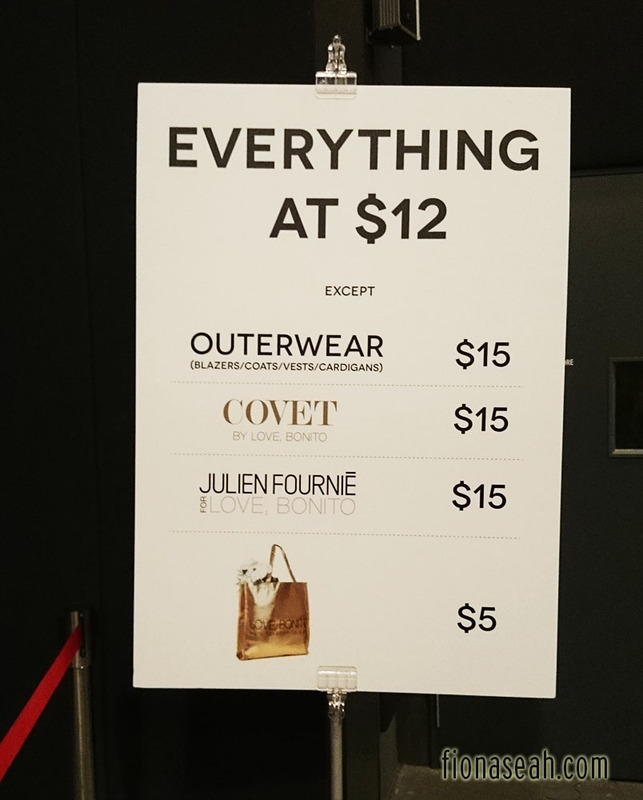 That’s equivalent to the price of a piece of steak elsewhere and it may not necessarily be as awesome as the one I had at Les Bouchons. I will bring Bf along on my next visit and I pray hard that it will not be swarmed with even more reservation calls after this post. Bf frequents Bugis area a lot because he goes to the infamous Sim Lim Square to satisfy his gaming needs. 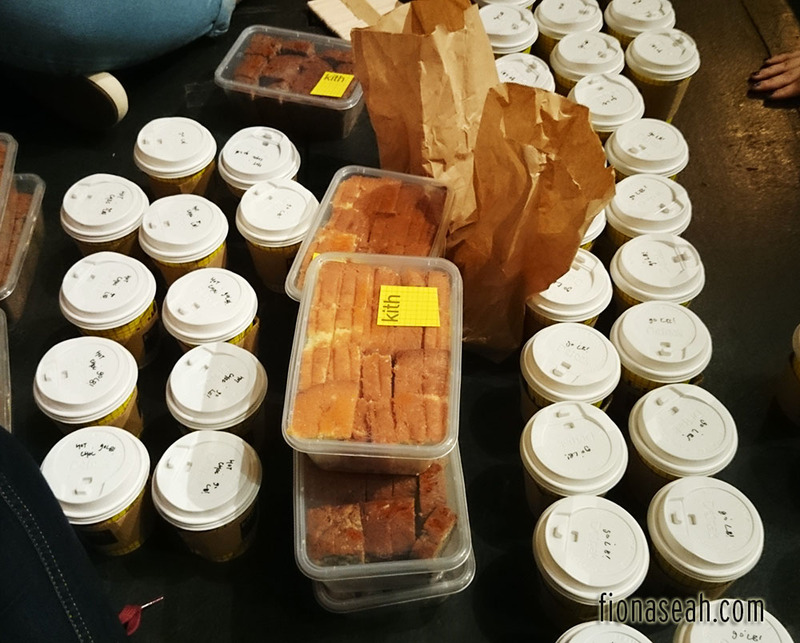 Very often, he would take a faster route via Rocher Road to get there because Bugis Street is always too crowded, and he would notice this long queue of people outside a restaurant snaking down the street. 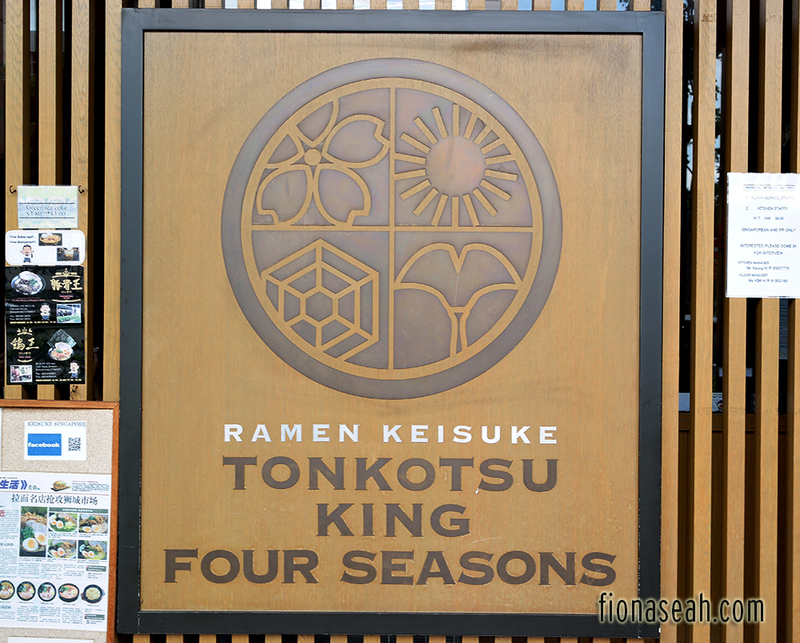 Upon closer look, he realised that people were actually queuing for a Ramen restaurant, or Ramen Keisuke Tonkotsu King Four Seasons (Keisuke for short) to be precise, apparently very widely talked about online. We are also Ramen lovers! How could we not know of its existence? 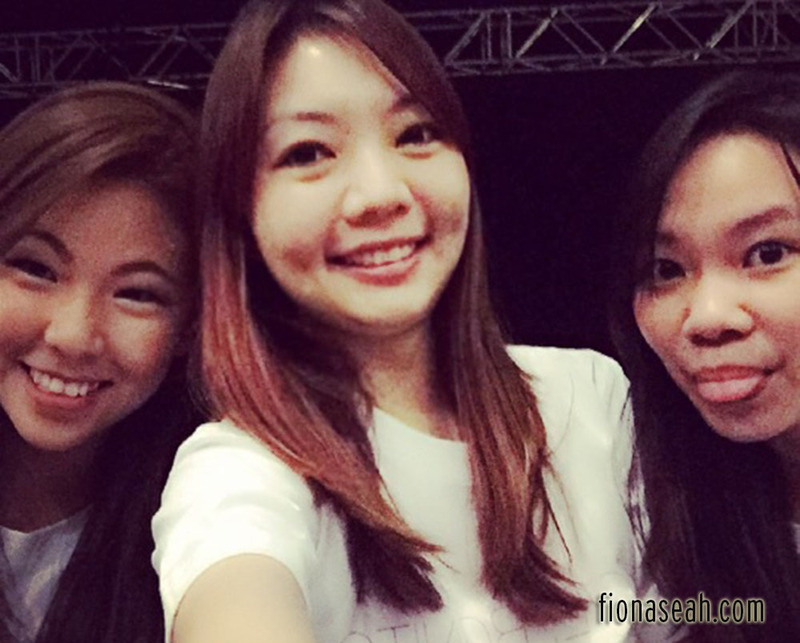 Curious, we decided to check it out together one day when we were at Bugis to find out what the craze was all about. Seems like the norm in popular restaurants nowadays! Great, I love this system. Fair and square. Good service! Too bad we didn’t have the chance to try it haha. 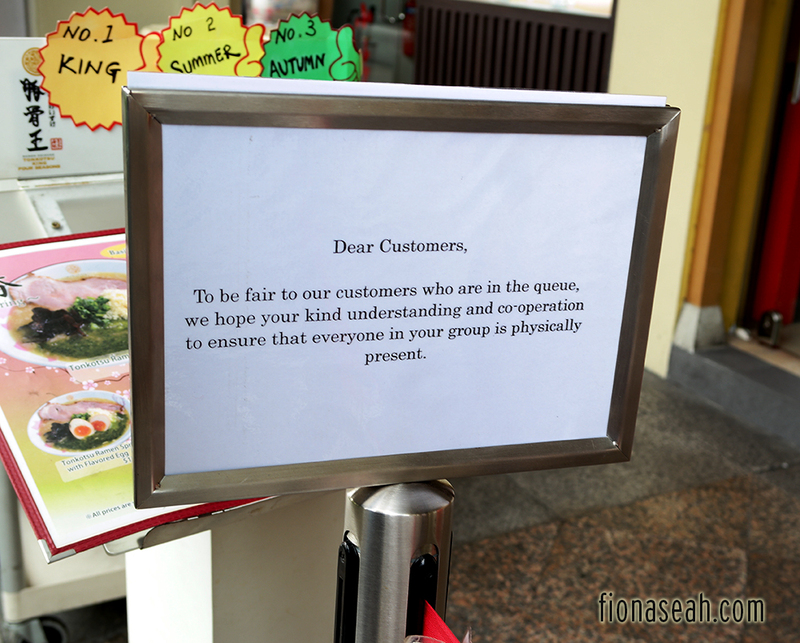 We went at about 1pm on a weekday when everyone else was working, so there was no queue at all! We managed to get a table in a jiffy. Yay free stuff makes everyone happy! Beansprout is free! This is the main pot which you are supposed to get your own servings from. 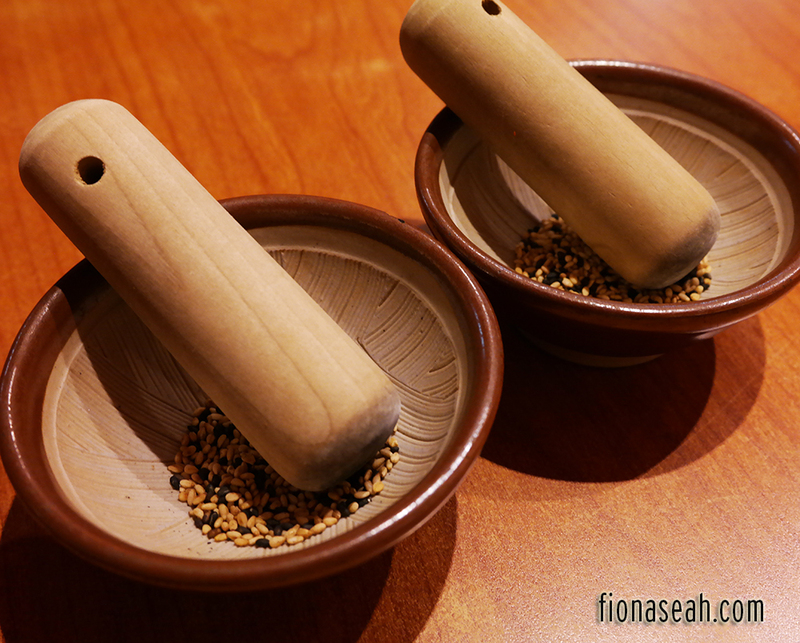 Grinder for the sesame seeds that you can add to your Ramen. The added seasoning brings out the different flavour of the soup. Orders are made by filling out the order chit which you are able to choose the taste of the broth according to your preference! Keisuke is pretty flexible in this aspect as it allows you to choose the strength of the taste of your soup, its oiliness and the hardness of the noodle texture. 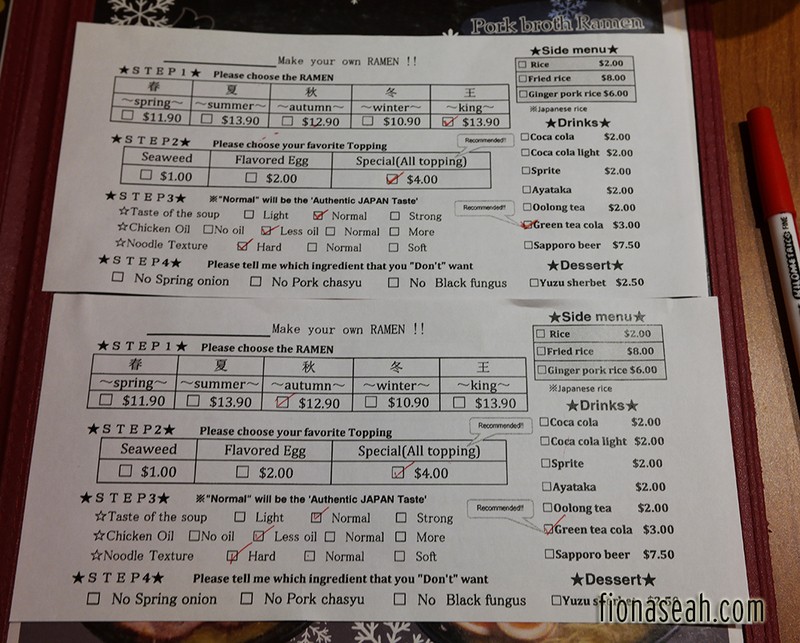 Once completed, the service staff would collect it from you. Payments are made at the cashier after the meal. Price list (excluding GST and Service Charge)! The one on top was Bf’s. Mine’s right below. We opted for everything that the restaurant recommended. Trust the experts! Hahaha. 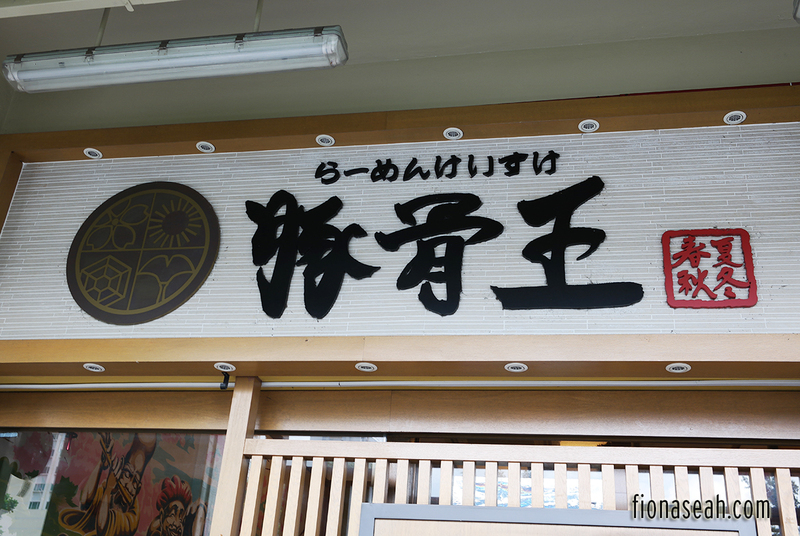 There are only FIVE main dishes – the Ramen – to choose from: Spring (Basil & Cheese), Summer (Spicy Pork Minced), Autumn (Pork Minced with Bonitos Flavour & Fried Mixed Mushrooms), Winter (Pork Broth) and King (Stir-Fried Pork with Ginger on top), thus the name “Four Seasons”. The variety is very limited but that’s exactly what’s keeping customers coming back! And trust me, you don’t need anything more to satisfy your hunger. The portion is actually quite big. 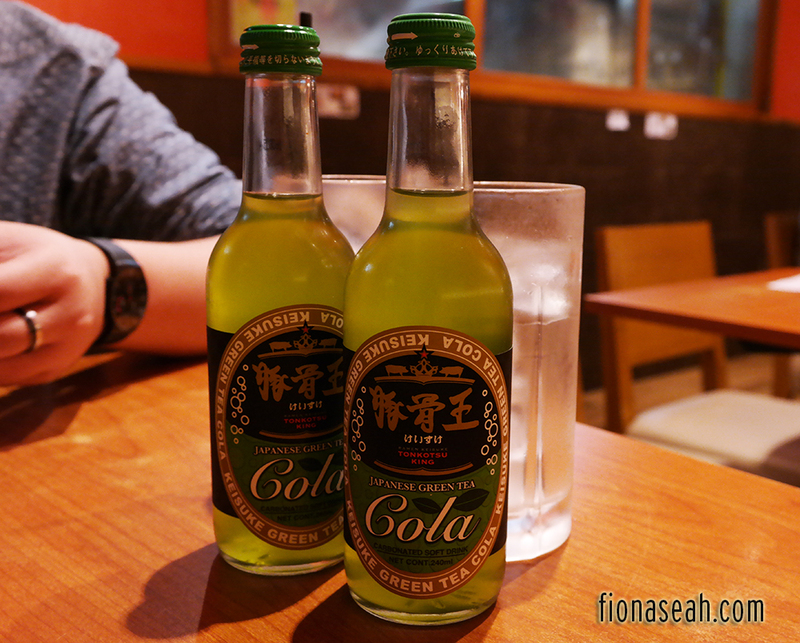 It’s a Japanese Green Tea-turned-fizzy drink, oh my Goodness! 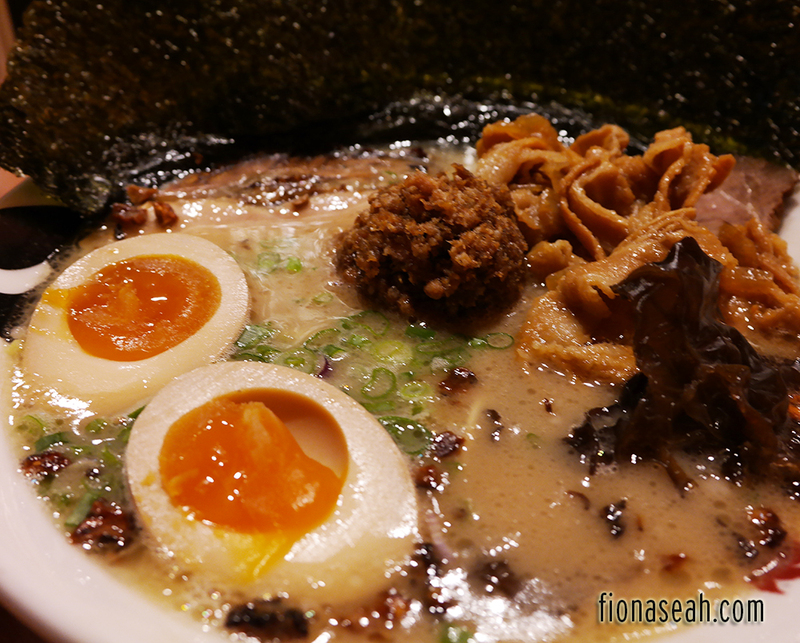 This is highly recommended among all the seasons-named Ramen because the broth is very flavourful and thick (even though I asked for “normal” taste so can you imagine how thick is “thick”?). The mushrooms dominated the taste bud but because it’s so strong, you may grow sick of it towards the end. 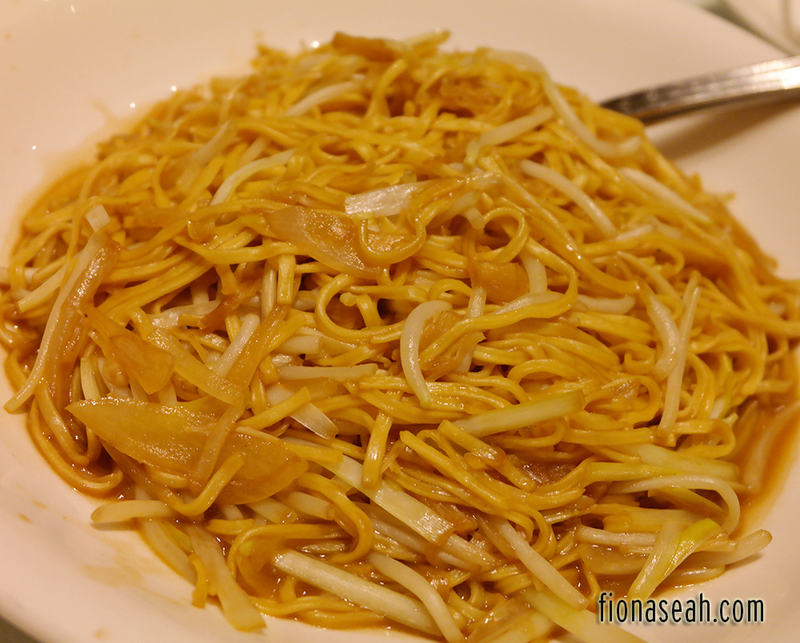 The noodles were so springy, the soft-boiled eggs so chewy and the yolk was almost runny. Perfection. 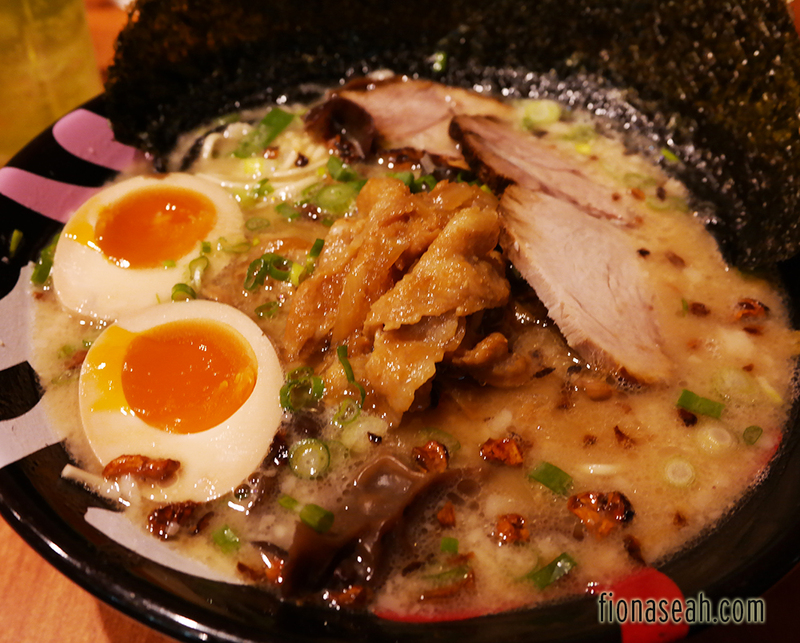 But I didn’t quite like the pork chashu because it was rather tasteless on its own and also quite difficult to chew. Still, this is one of the best Ramens I’ve had in my 24 years of life. There is something even better! 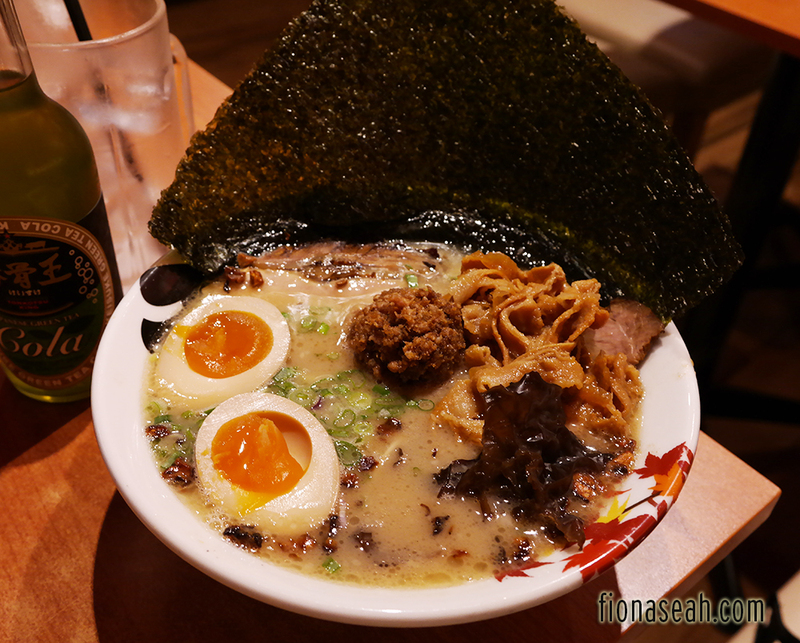 It’s called the King Ramen, and boy does it really live up to its name. The danger of ordering this is that I’d probably drain out the soup before I even dig into the noodles because the soup is just too delicious. If I could use an expletive description, I would totally use on this. But I shall refrain from doing so because I’m a good girl. And also because I want this blog to remain safe for kids. Hahaha. It’s also more value-for-money because it has more toppings than the rest and it’s only an additional of S$2! 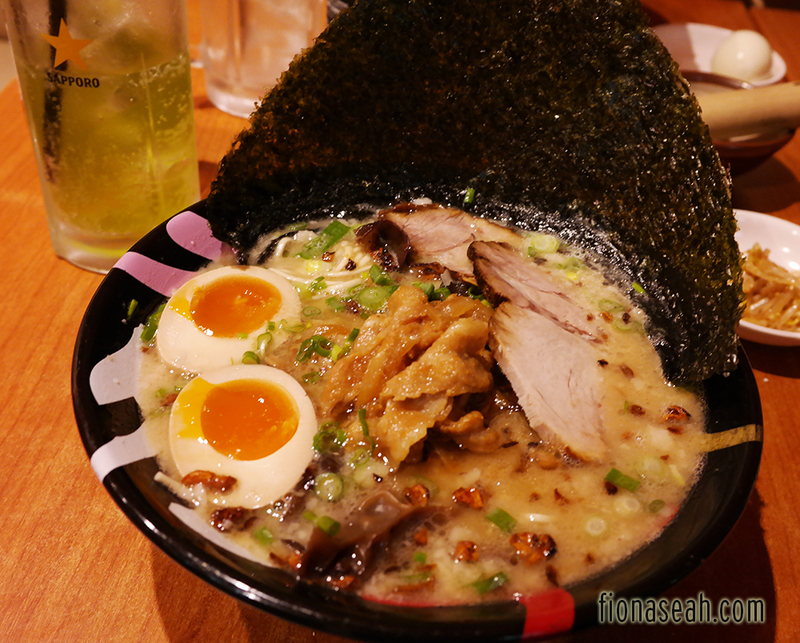 And if you guys noticed, every flavour of Ramen a Keisuke has its own bowl design. I like that they get down to the specifics. I’ll definitely want to get the black bowl next time. Alright, that’s all for this post! After a sumptuous lunch at Wooloomooloo and a relaxing staycation at Hotel Clover, we’ve finally come to the final part of my birthday celebration, courtesy of my boyfriend’s wonderful parents. 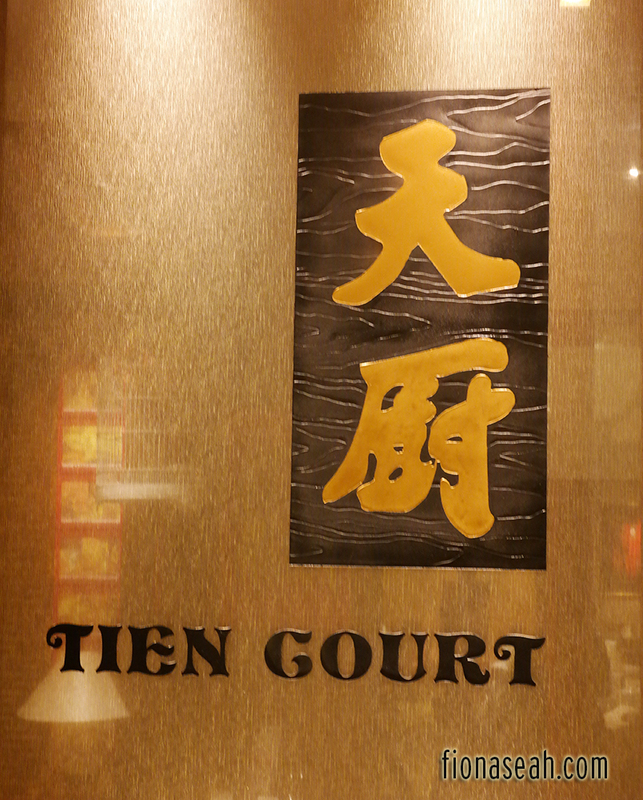 This year, they brought me to Tien Court, a reputable restaurant that serves contemporary Cantonese and Szechuan cuisine at Copthorne King’s Hotel. It has been in operation for a long time with Taiwanese Masterchef Ho Tien Tsai at the helm of the kitchen, clinching countless of awards throughout the years for its culinary excellence. 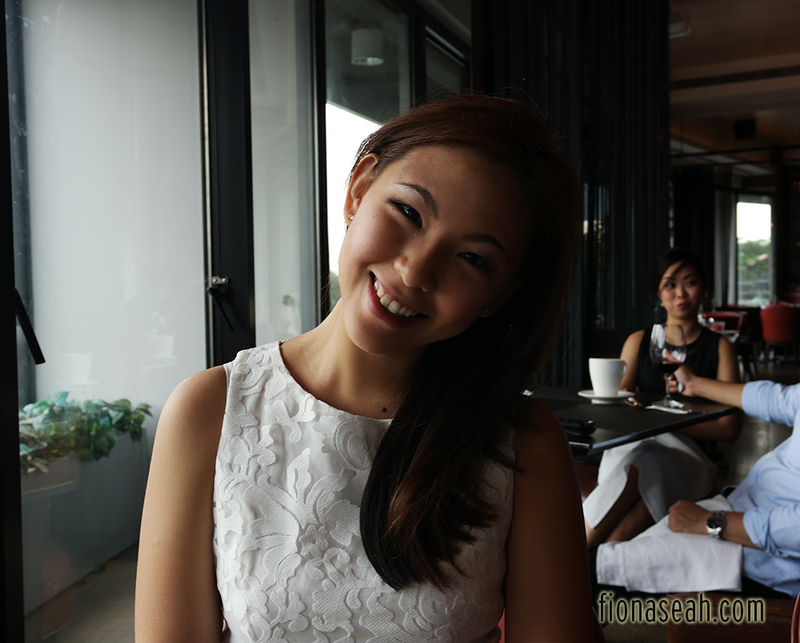 It’s a pretty popular choice among Chinese newly-weds to be for holding wedding banquets here in Singapore. 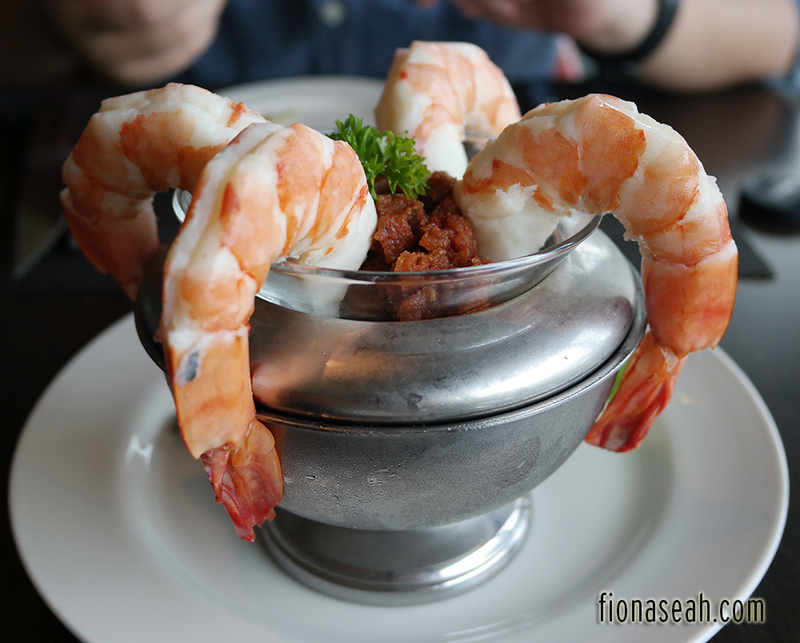 Being a Chinese restaurant, the deco of the restaurant gave a very oriental yet modern vibes. It used auspicious colours like red and white, coupled with black to portray a more contemporary theme. It had a huge collection of antiques and more interestingly, there were even bird cages hanging everywhere! Featured the white romper I was wearing here! Me settled down in the restaurant. 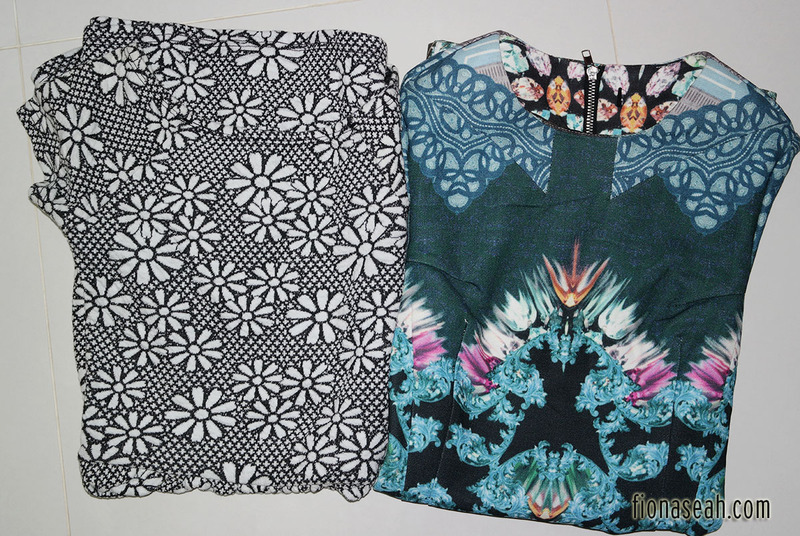 Love the intricate design of the sleeves by the way! The restaurant is rather small for grand wedding banquets if you ask me, but it’s perfect for small-scale ones meant only for people you’re really close to (which I would be opting for in the future because I never like the idea of wedding banquets). Bf’s parents did all the ordering of food while I was at the washroom so I didn’t know what to expect on the dining table! It was great they chose the food because I’m a fussy eater when it comes to Asian cuisine and I’d probably take ages to decide on what to eat. Haha. First came the starters – an individual bowl of Szechuan Hot and Sour Soup for everyone. Topped with lotsa pepper and vinegar afterwards. 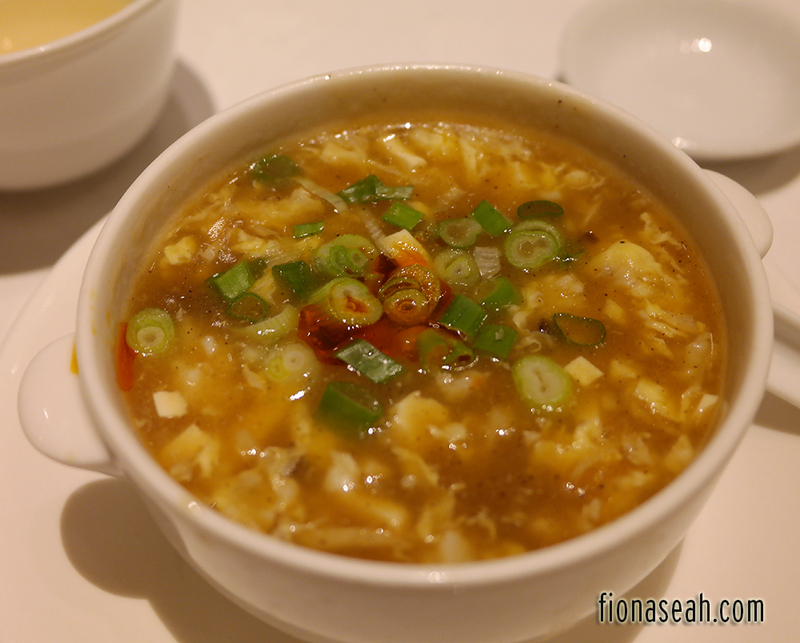 The Szechuan Hot and Sour Soup is a perfect alternative to Shark’s Fin Soup which I’m really glad is banned in most Chinese restaurants in Singapore. 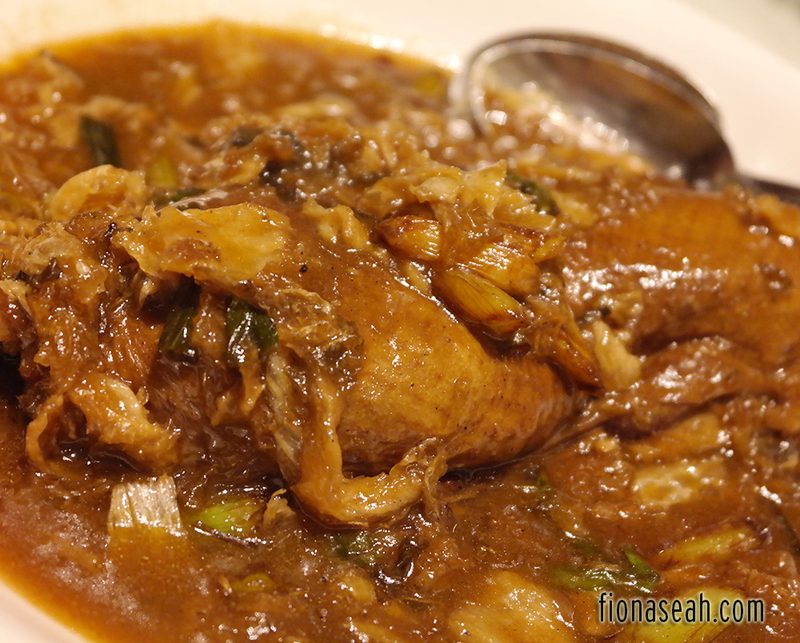 It’s addictive, equally thick and had lots of finely diced Tofu with plenty of mushrooms. 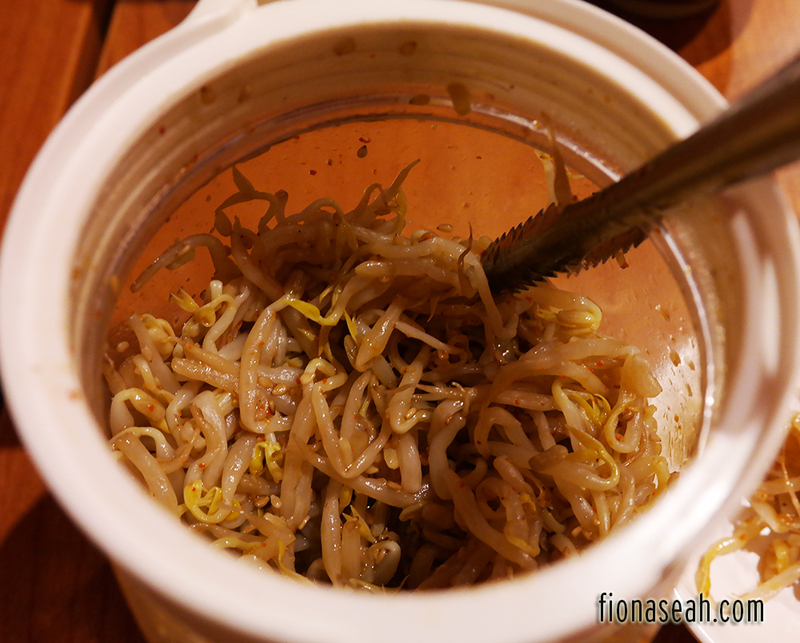 And once you add the usual condiments like pepper and vinegar, it tastes almost like Shark’s Fin Soup! 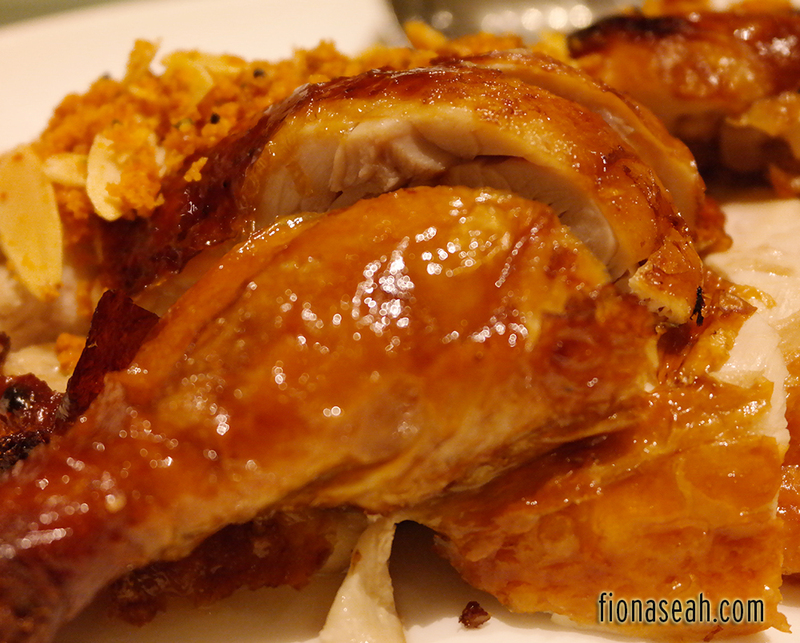 Next, we had Roast Chicken with Spicy Garlic and Almond Flakes. The skin was roasted to the perfect golden brown – divinely crispy and perfectly dry. I usually eat chicken meat without their skin but this, I couldn’t forgo. 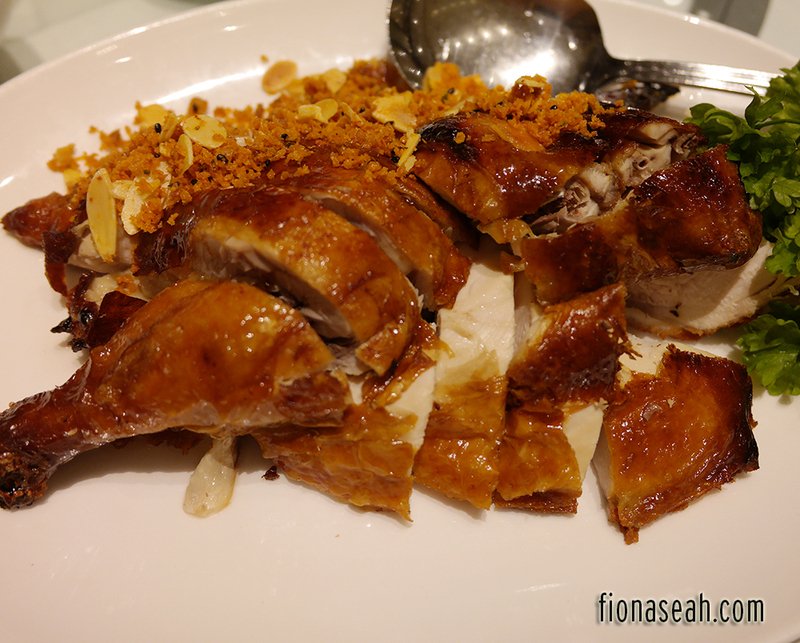 The tender and moist chicken meat was given the extra crunch with those almond flakes and spicy garlic. 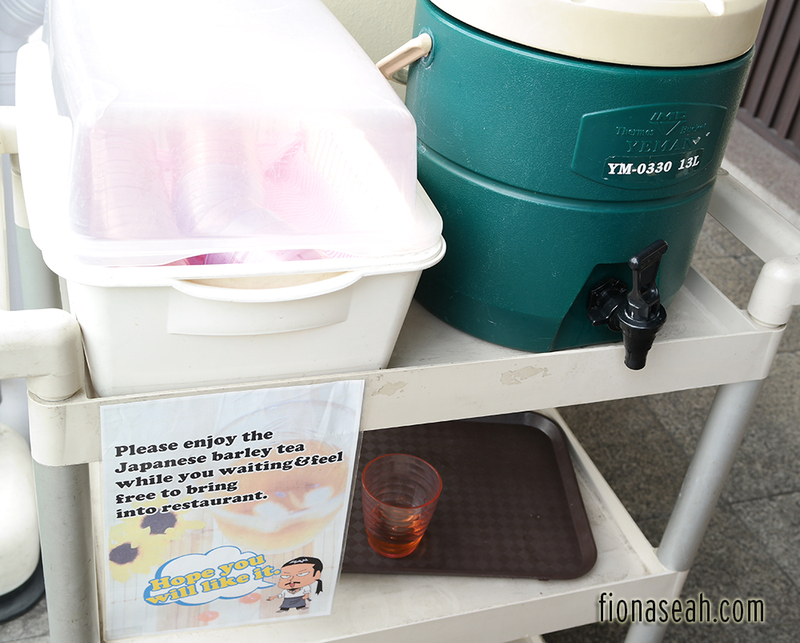 You have to try this when you’re at Tien Court. 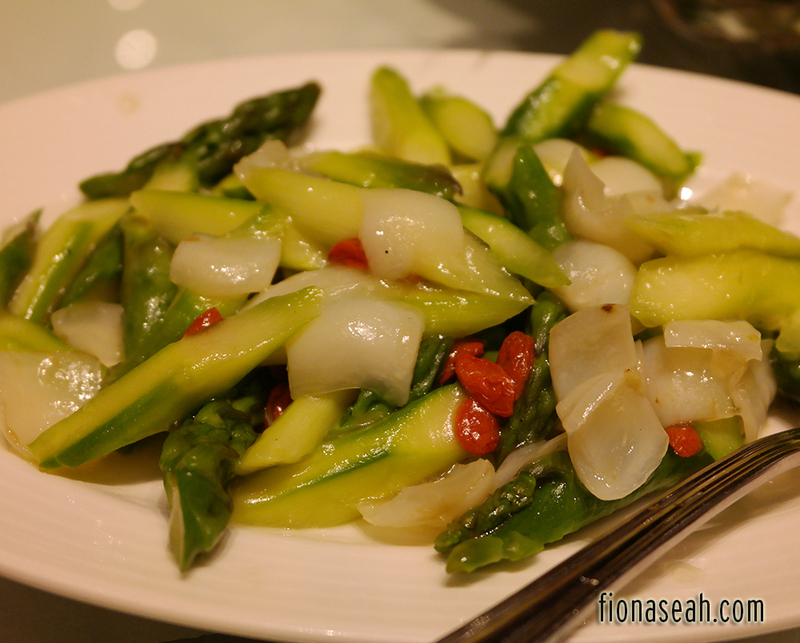 A simple stir-fried Asparagus dish with onions and red dates followed. Asparagus is one of the few vegetables I enjoy eating. 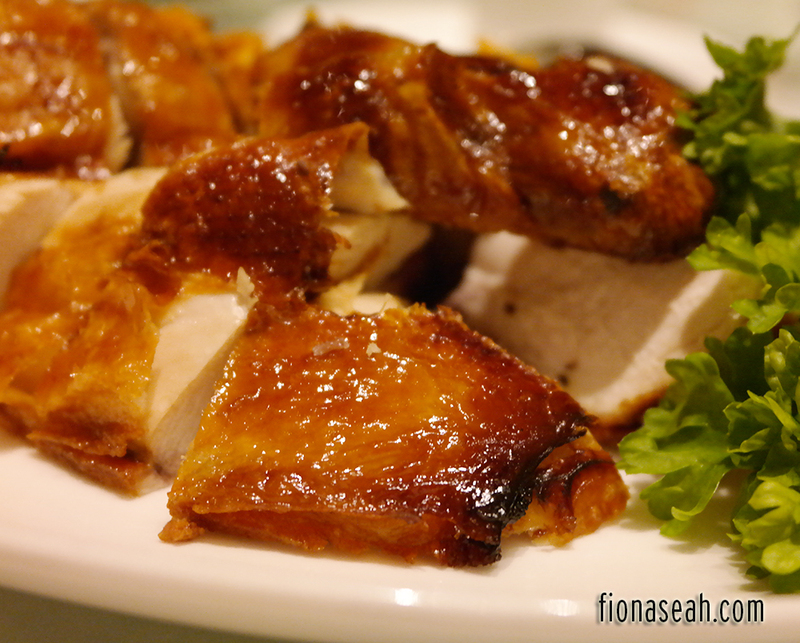 This one at Tien Court was fleshy, juicy and soft – an indicator that it was cooked perfectly. It’s delicate, fresh and crunchy and it melts in your mouth. This plate was emptied the fastest! Then we had Braised Duck. It had a rather strong herbal essence which I found pleasant and delectable. 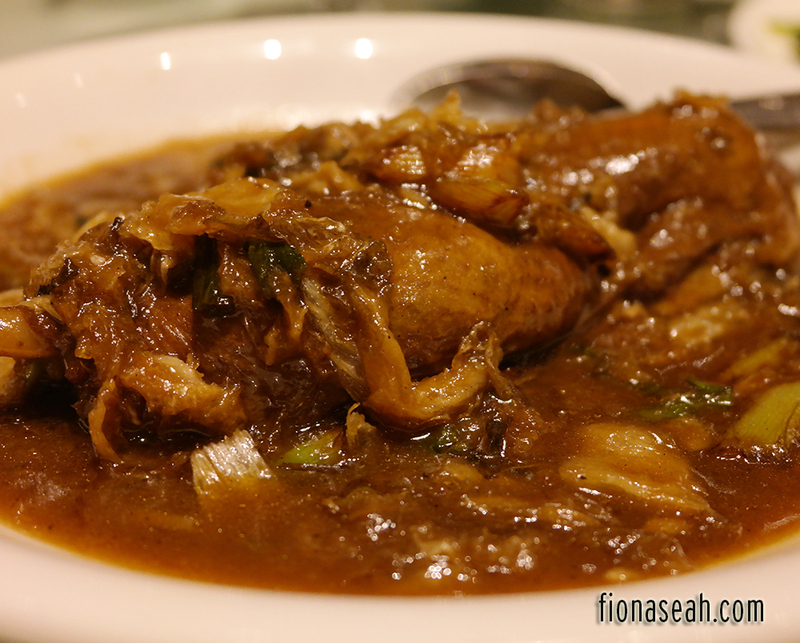 It added flavour to the succulent duck meat, making it really fragrant and savoury. Bf, on the other hand, thought that the smell was a tad too strong to the point of revolt. I guess if you’re not afraid of the pungent smell of Tea Leaf Eggs (茶叶蛋), this should be a-ok for you! 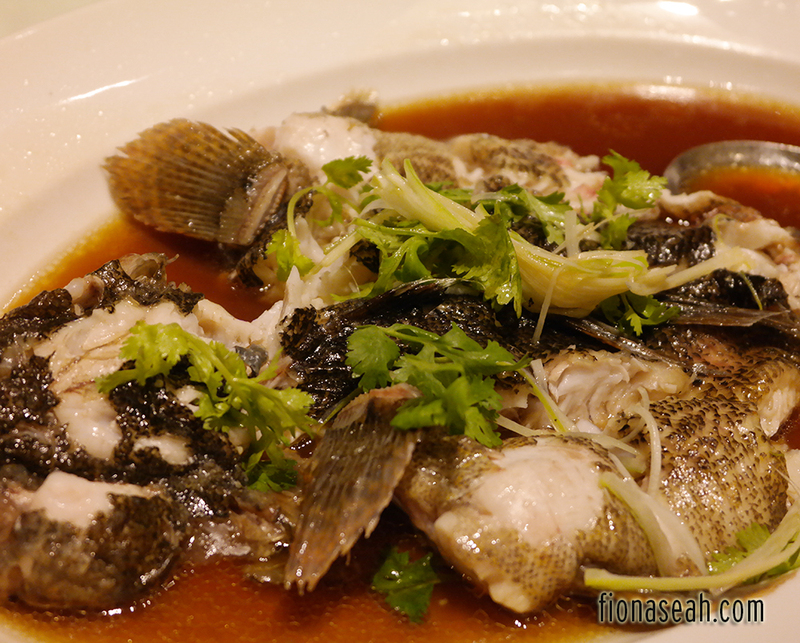 The final meat dish of the night was Hong Kong Style Steamed Garoupa. Last but not least, what is a birthday celebration without Longevity Noodles? It bizarrely came last and I vaguely remember that we wanted it to be served in the beginning. I guess the service staff wasn’t paying attention. But because it came so late, we were already full to the brim. I don’t think we even had space for desserts. Haha! But I still managed to take a few mouthfuls of it to be polite. It was slightly cold and mushy, like it was left at a corner for some time before it was served to our table. It could be better if it was served earlier because the taste was not too bad honestly. Okay, that’s all for this entry! Before that, I have a small confession as a shopaholic. 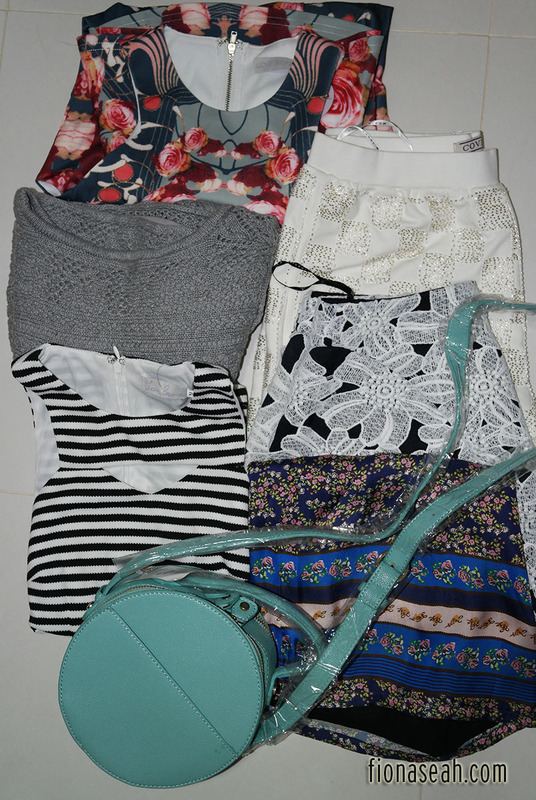 I’m a compulsive shopper – that’s a known fact. Before I got obsessed with makeup, I used to go crazy on online shopping and would spend hundreds of dollars a week on clothes. 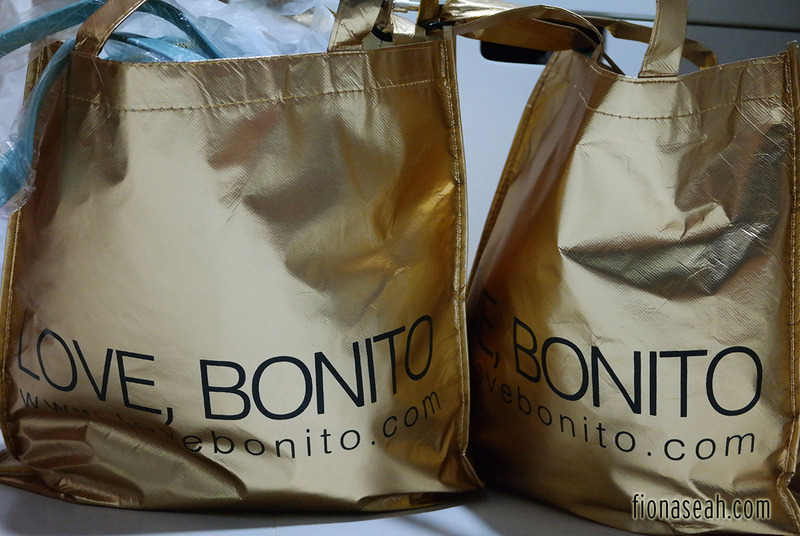 My spendthrift ways became apparent when I was awarded the “VIP” status at Love, Bonito for being one of their top spenders in 2012. For that, I (together with a few other VIPs) was given priority over the rest in The Great Love, Bonito Sale in 2013 and was allowed to enter the room an hour ahead of everyone. No doubt it was such a rewarding experience and the privilege made me feel that all the spending was worthwhile. Then, I had to return to school. I was forced to leave my full-time job and gradually, I started spending lesser on clothes (also because my wardrobes couldn’t take in anymore clothes and Bf was nagging incessantly at me for that) and of course, I also lost my “VIP” status on Love, Bonito. Fast forward to October last year, I was given the opportunity to work at Love, Bonito after responding to their recruitment ad and successfully getting through the interview. 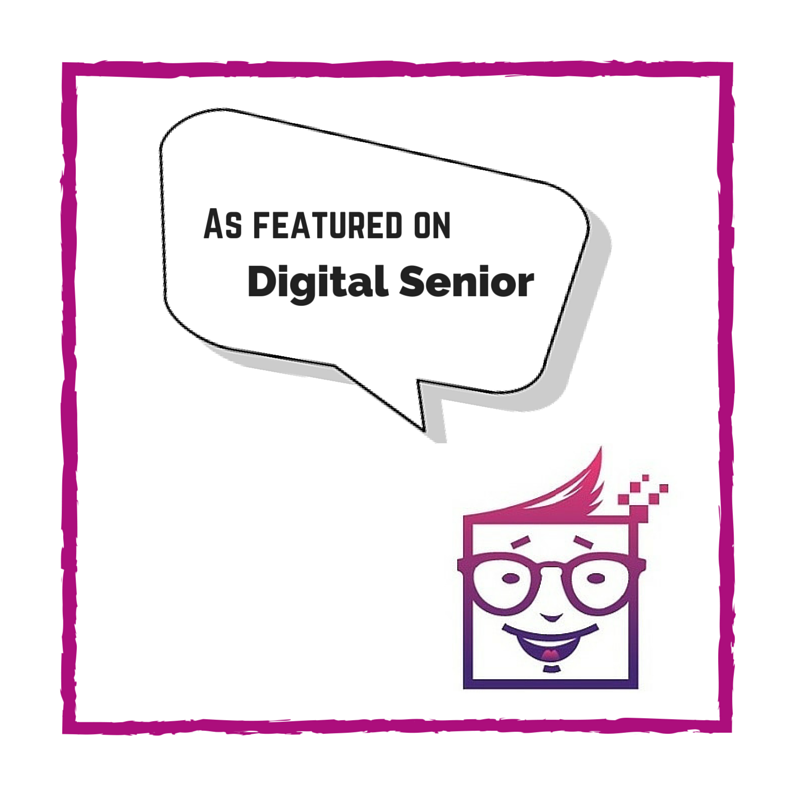 I was their Photo Editor but because of school commitments, I had to leave the company after close to 4 months with them. It was one of my best working experiences and it kinda healed most of my scars from my previous long-term employment (which was beyond terrible. Read here). A few months had passed since I stepped foot into Love, Bonito office and I really missed working with the wonderful people there. Just then, I received a text from one of my Love, Bonito ex-colleagues asking me if I was available to work during their warehouse sale in November. Without hesitation, I gave a positive reply. They must’ve heard me! Haha. Okay enough of rambles. Here are some of the event highlights! 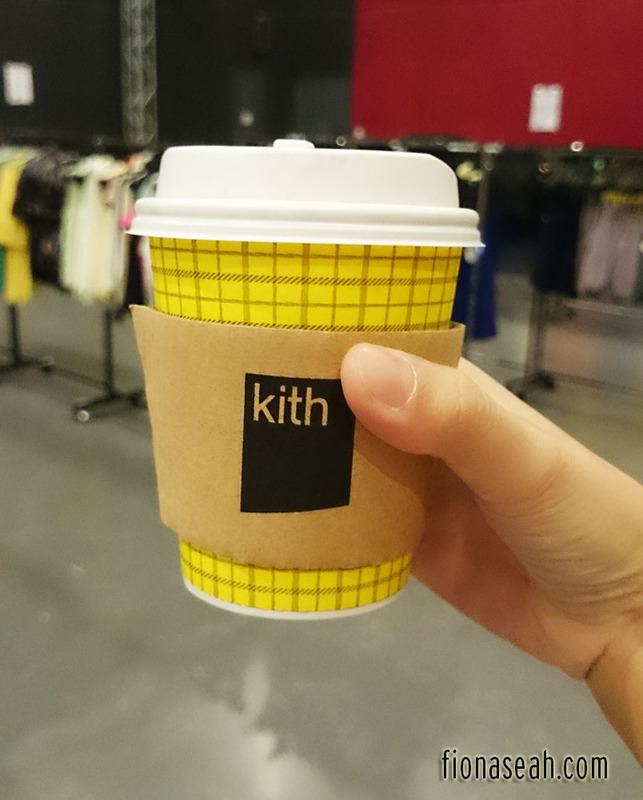 The pixies were all treated to a sumptuous (to me lah) breakfast on Day 2, courtesy of Kith Cafe! Here’s my cup of hot chocolate! What a way to start your morning. It definitely gave me a boost and made me more energised for Day 2! Great companions at the event! Here’s me with 2 Jocelyns. Haha! Are you ready to see my loots? 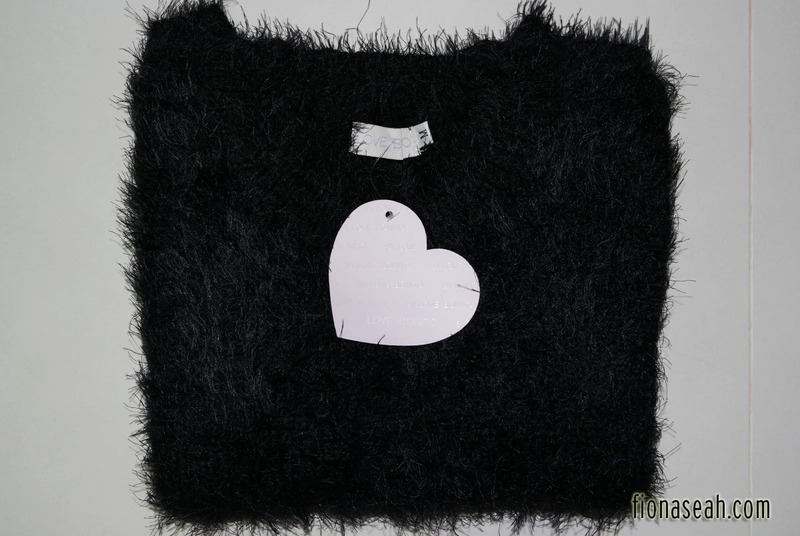 These are bags for shopaholics. Haha. Lugged back 2 of this! 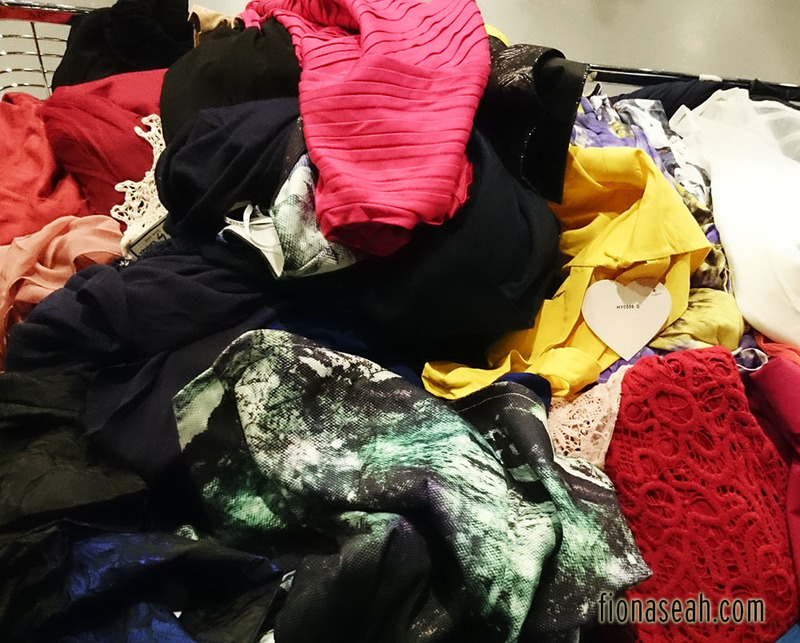 Featuring some of my star buys, here are my favourite tops and dresses (especially the maxi dress at the bottom which I had forgotten what it’s called) from the sale. 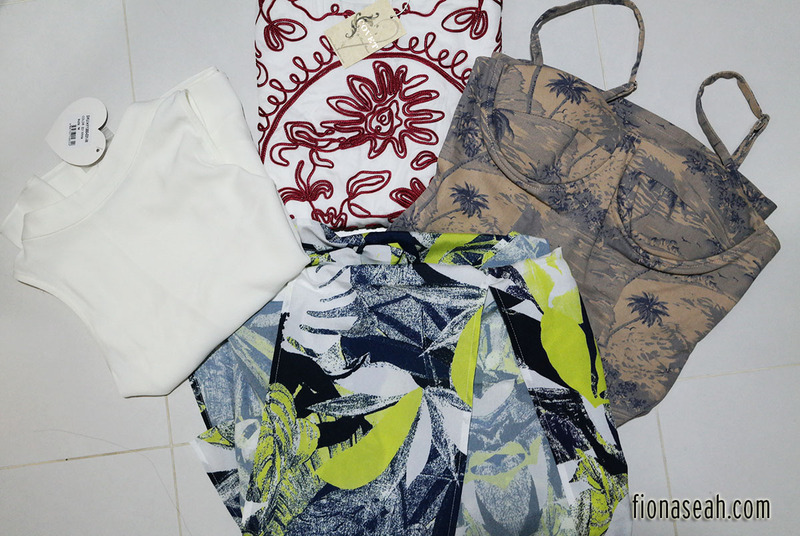 Some more dresses and tops, and also the bottoms I bought! The very popular furry pullover which was gone before sunset on day 1! Love touching the material haha. The top is loose-fitting which kinda made me look preggers so I tucked it in (but it’s so short, it kept coming off my shorts). I like the colour and the intricate design on the sleeves. 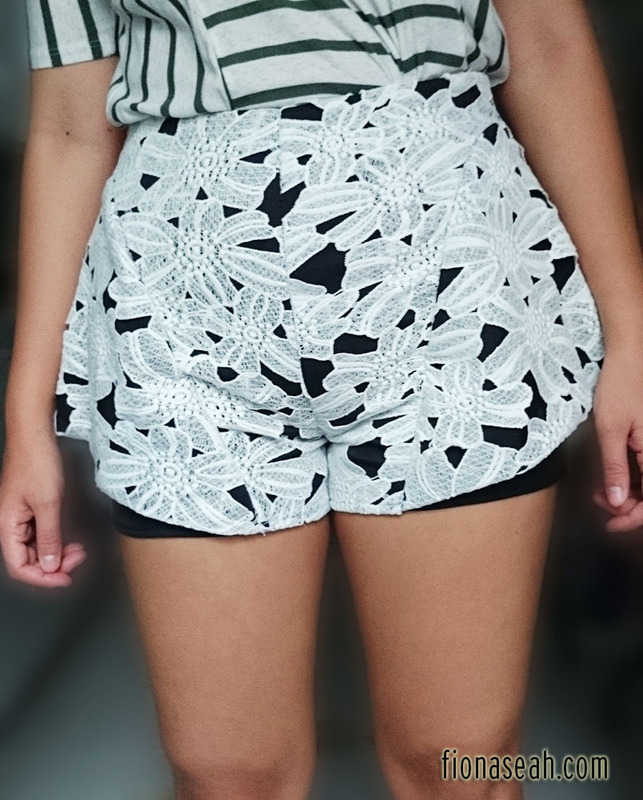 Got this from the wagon 🙂 It’s a very unique design for a shorts. Please note that I will not be answering any questions relating to employment at Love, Bonito. 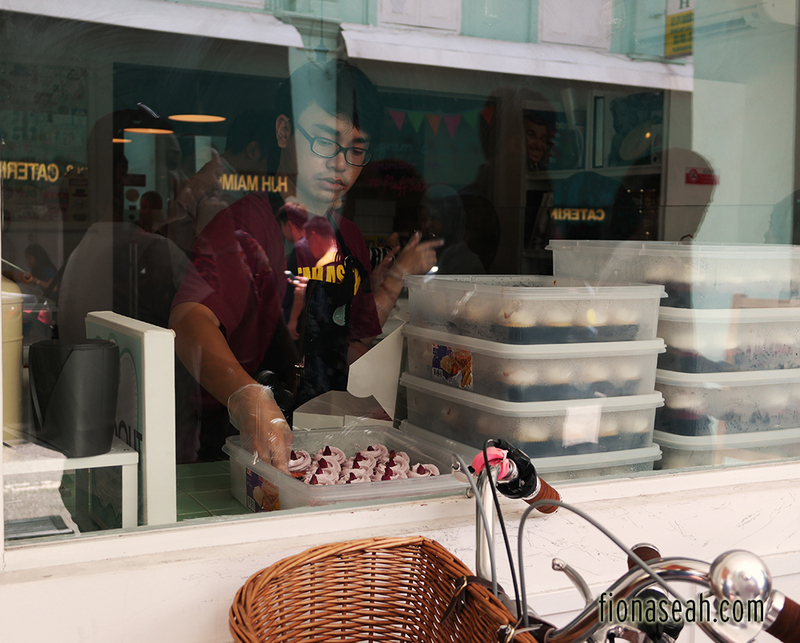 During my staycation a few months ago at Hotel Clover, Bf and I walked past a stretch of road that leads to Haji Lane and Kampong Glam and we saw this super long queue formed outside a shop called Fluff Bakery. The time was a few minutes past noon and the queue was so long that it extended all way to the next small road beside it. We were both intrigued by the long line so we did a quick Google search about the bakery on the spot. 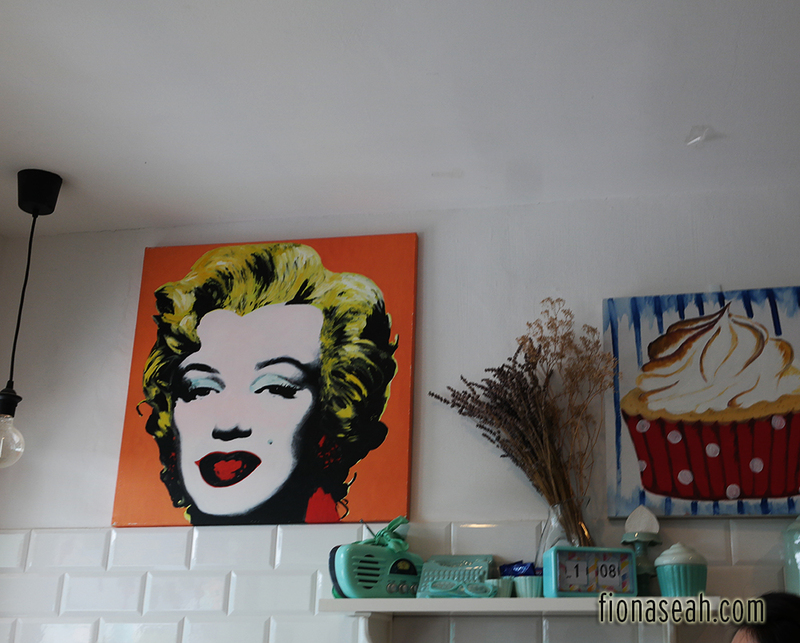 Apparently, it’s a very famous bakery well-known for their cupcakes and they’re often sold out within a few hours! And many a times, there’d be people who’d queue for 30 minutes only to realise that everything was gone the moment it was their turn to order. We didn’t want to risk queueing so long under the scorching sun. It was also partly because we were famished and we needed food right then, so we gave the bakery a miss and went to have our lunch at Pastamania (which was awful by the way). We didn’t expect to walk that same stretch of road again 3 months later (to celebrate my birthday again at Hotel Clover) and this time we were early! I guess the hype has died down a little because the queue was seemingly shorter now but yay, that means first-timers like me would get the opportunity to try their famed cupcakes! The waiting time was less than 10 minutes and I managed to get all the flavours they had. 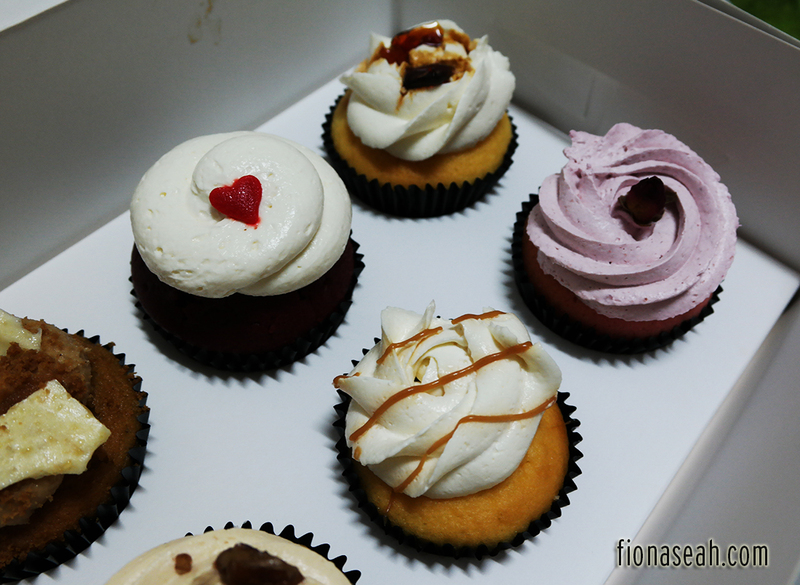 Like Twelve Cupcakes, they have different flavours every week. This was the menu for the week of 17 November! Looking at the pictures can already make me drool! The beautifully decorated cupcakes are just too enticing. Who would be able to resist them, you tell me?! I’ll introduce them one by one in awhile! 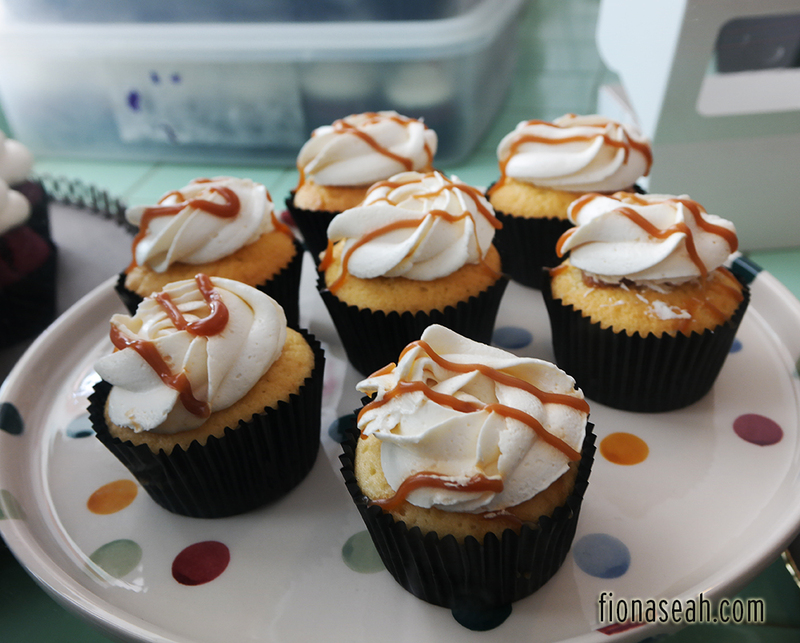 Salted Caramel is described as a vanilla cake with salted caramel filling, vanilla Mascarpone frosting and salted caramel drizzle. Bf isn’t a fan of Caramel so I got to devour the entire thing, woohoo! However the caramel tasted like Werther’s Original caramel flavoured sweets so I’m not sure if it’s hand-made by the people at Fluff (or did they just conveniently melt the sweets? But I choose to believe everything was D.I.Y). 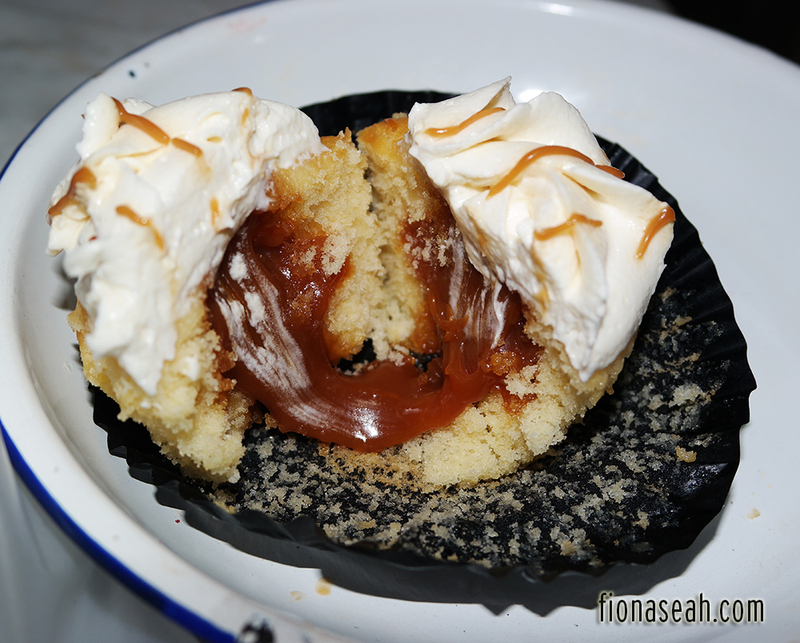 The filling was really thick which made the cupcake overly sweet in my opinion. *reaches out for a cup of water* But I’m sure caramel lovers would love this to death! Explosive Cookie Butter Latte is described as a light and fluffy coffee cake with Speculoos cookie butter filling, Speculoos cookie butter frosting, cookie crumbs and an explosive white chocolate shard. You must be kiddin’ me. 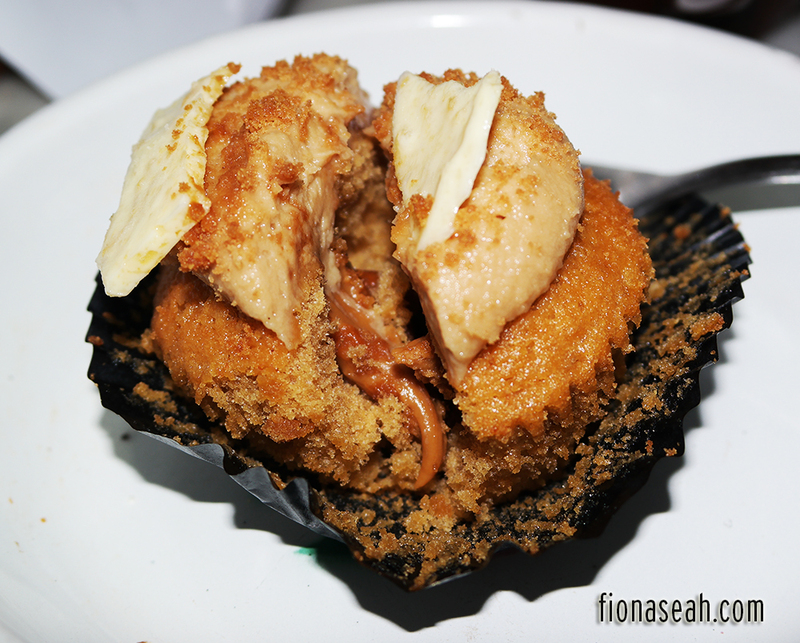 This cookie-flavoured cupcake has a good mix of crunchiness (from all the cookie crumbs, yum!) and softness. 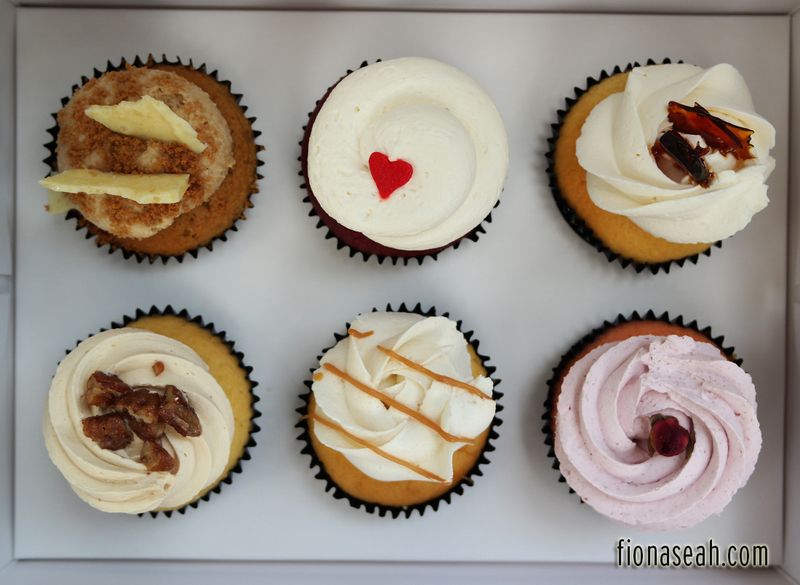 What I like about Fluff’s cupcakes is that everyone of them is filled with sweet and savoury fillings that surprise you with every bite. It ensures the moistness of the cake and makes you crave for more! Oh my God, they are so creative I love it! 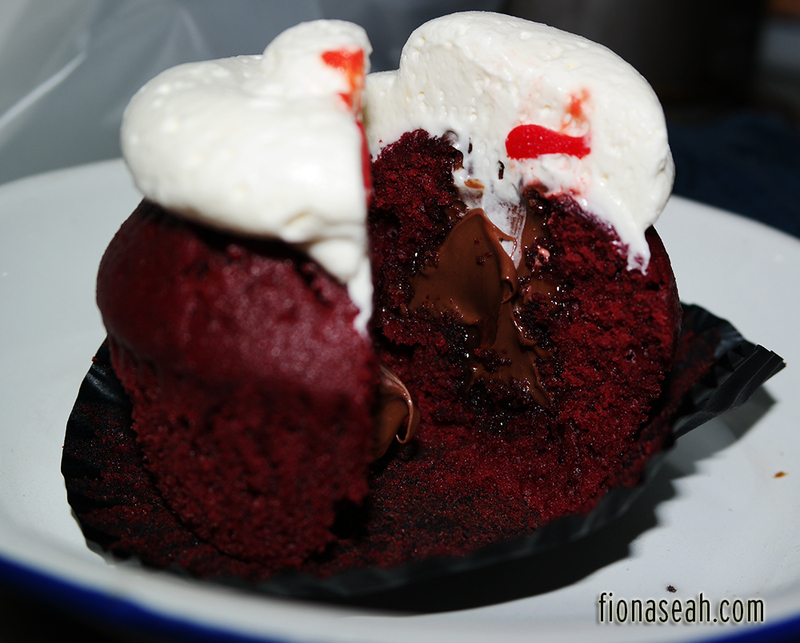 Who would have thought of incorporating something like that into a cupcake? It made eating cupcake so much more fun haha. 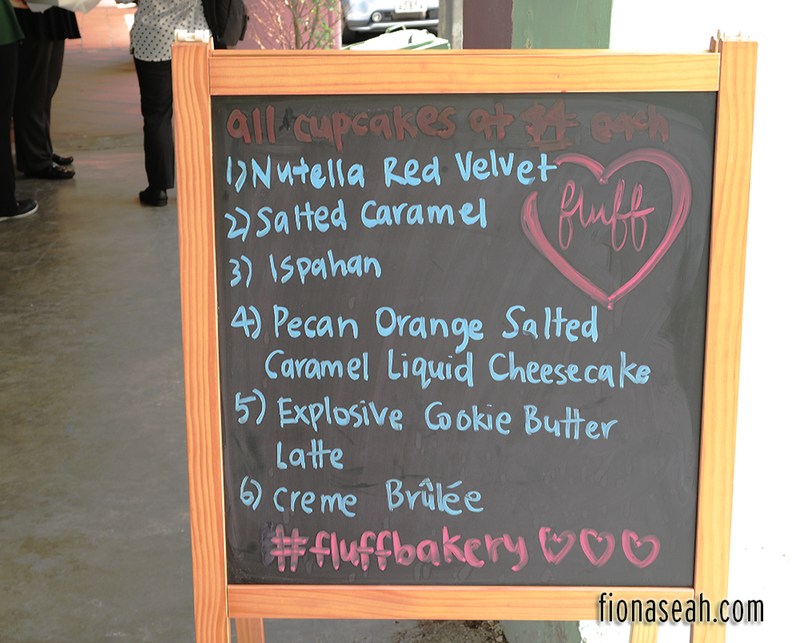 Now if you see any cupcake described as “explosive” by Fluff Bakery, you know why! Crème brûlée is described as a light and fluffy vanilla cake with a creme brûlée filling, topped with Mascarpone frosting and burnt sugar shards. 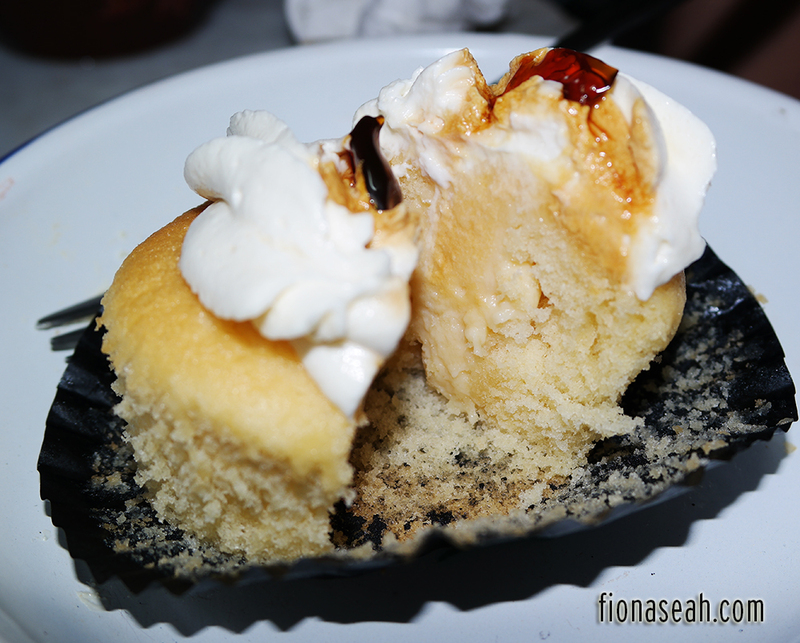 I must really take my hats off to Fluff Bakery for being able to bake crème brulée into a cupcake. Every keen baker would know that making and perfecting the taste of crème brulée aren’t easy. Heck, you don’t even need to be a baker to know that because Masterchef shows you everything that happens in the kitchen haha. But their ability to fuse a casual dessert with one of higher-end is definitely very admirable. Nutella Red Velvet is described as a red velvet cake with Nutella filling and cream cheese frosting. 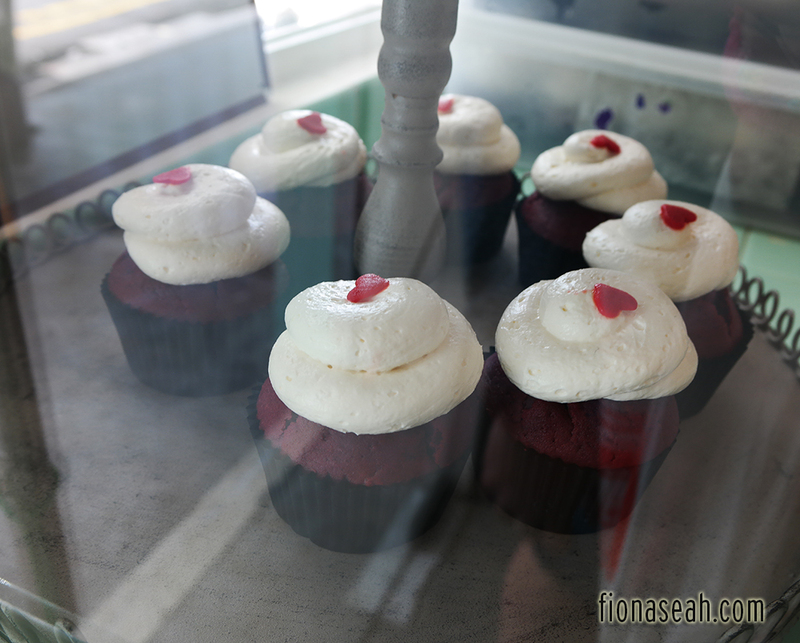 A cupcake shop is never complete without the crowd’s favourite Red Velvet cupcake. 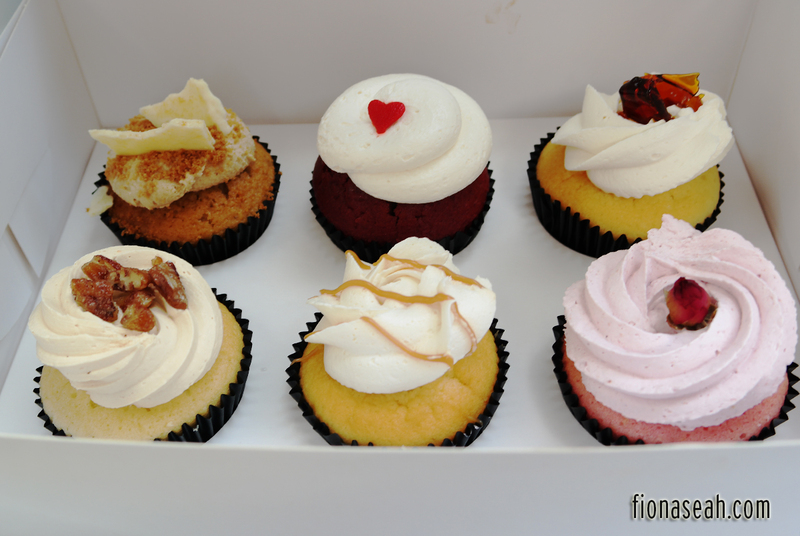 To me, it’s one very important flavour to have because my final verdict of the cupcakes depends very heavily on it. 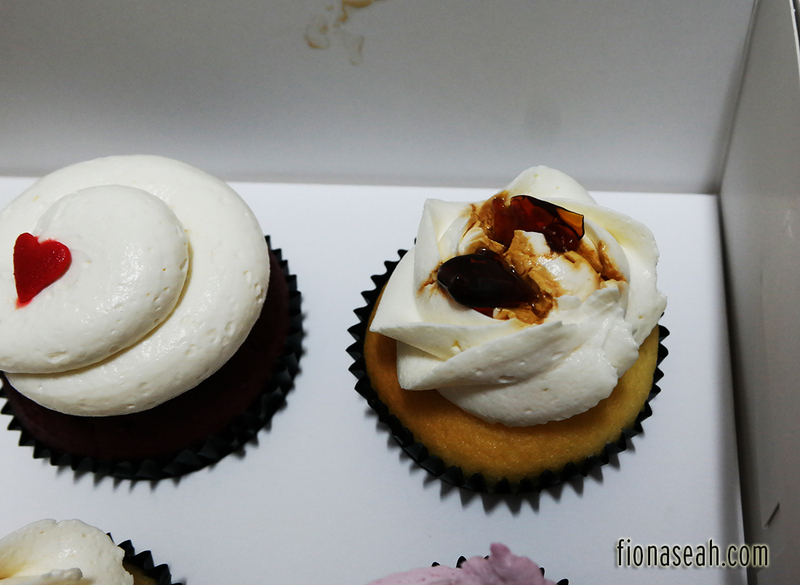 Hence my eyes were already set on their Red Velvet cupcake before I stepped foot in the shop. And I wasn’t disappointed at all. It is fluffy, moist and its sweetness is just right – exactly what I’m looking for in Red Velvet cupcakes. To top it off, it’s filled with everyone’s favourite chocolate hazelnut spread which complements the overall taste. It’s basically a major crowd pleaser that’s bound to sell out before the rest. But fret not, this is a permanent flavour so it’s available every single day! Pecan Orange Salted Caramel Liquid Cheesecake is described as a light and fluffy vanilla cake with liquid cheesecake filling, orange salted caramel frosting and caramelised pecans on top. 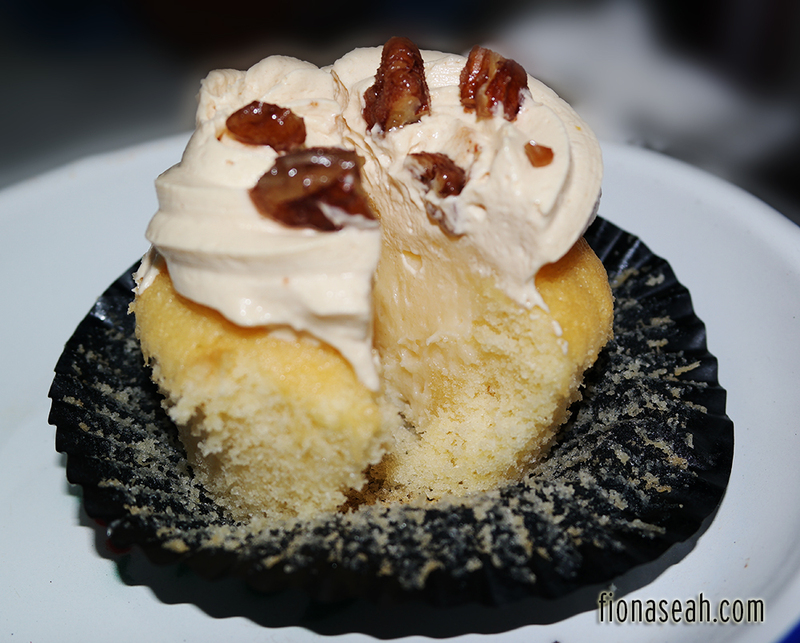 I don’t really like nuts but I must say that they’re necessary here because they gave the cupcake the extra crunch! It’s really good, light and tasty. It felt like eating a real cheesecake because of the generous amount of filling. I love to eat but I’m also very weight-conscious at the same time. 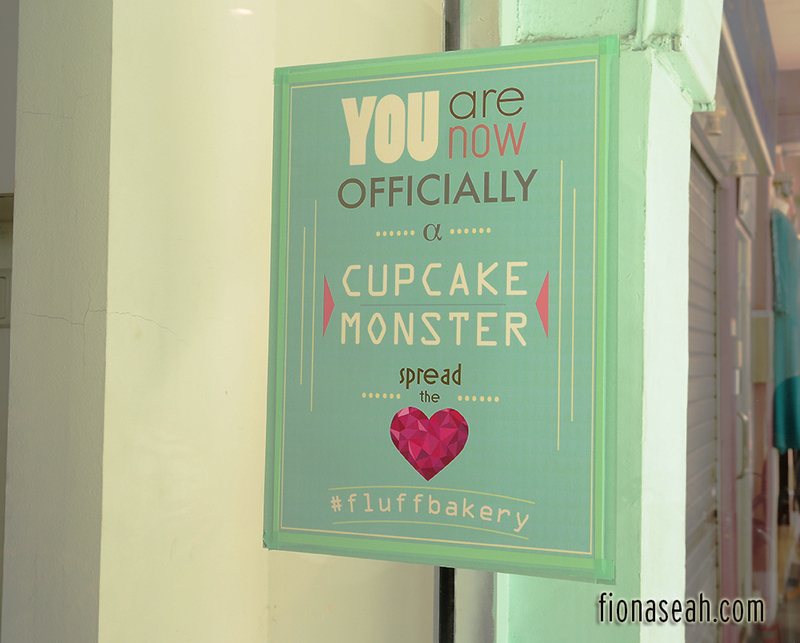 I usually avoid eating (too much of) the frosting of cupcakes but I actually don’t mind sacrificing a few pounds (just run more rounds lor) for the frosting on Fluff’s cupcakes, especially this one! It’s so one-of-a-kind and delectable and I’d kill myself if I wasted it! 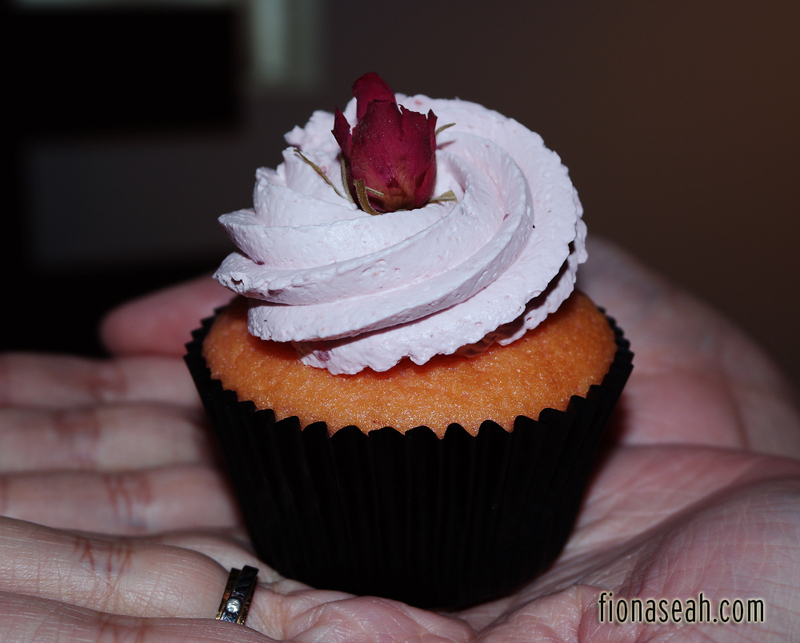 The Ispahan cupcake is described as a light and fluffy rose cake with a lychee filling and raspberry frosting. This is another unique flavour that really stood out but somehow isn’t very popular (last to sell out every time). I guess it’s an acquired taste? But I ABSOLUTELY love it! The lychee filling really upped the game. 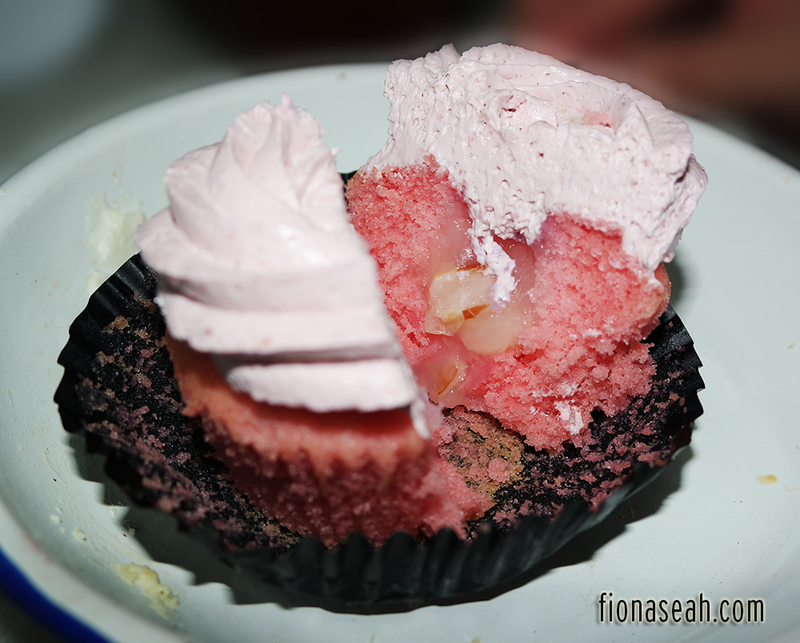 It’s something that you can hardly find elsewhere (in fact, you seldom see fruit-flavoured cupcakes, do you?). It’s thick, flavourful yet not too sweet at the same time. I got the orgasmic feel biting into the cupcake. It’s AWESOME! Unfortunately, it’s not included in this week’s menu 😦 I hope it’ll make a comeback! Each cupcake costs S$4. Quite a hefty price tag but I say it’s worth it! Also, it’s HALAL so it’s practically for everyone! 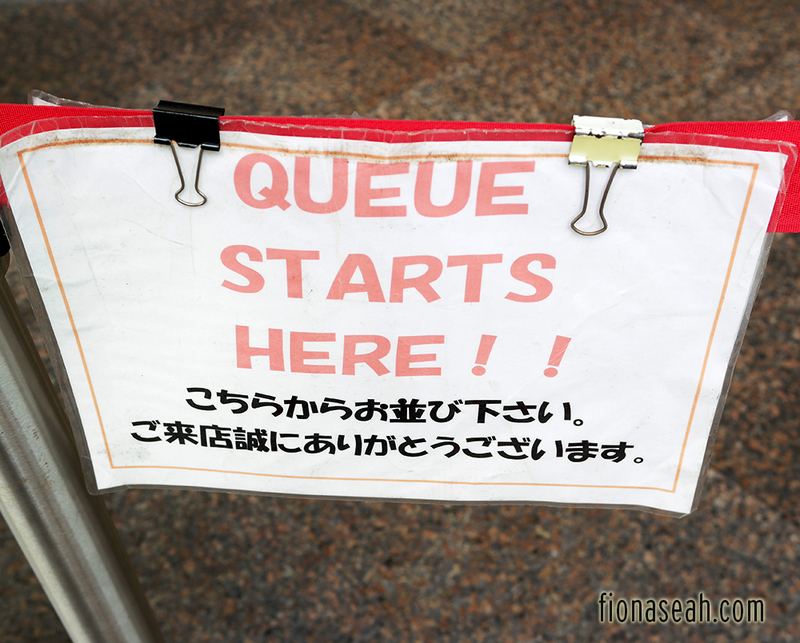 It opens at noon on most days and queues would already start forming before that. I’m not a morning person so I’m not sure when I’ll go back again 😦 Plus, it’s so far from where I live! 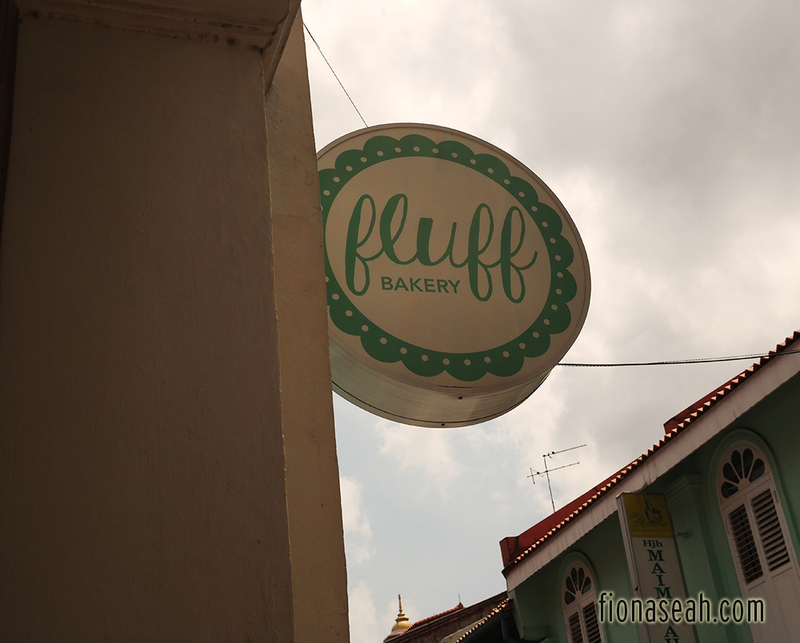 Fluff Bakery, Y U NO DELIVER? 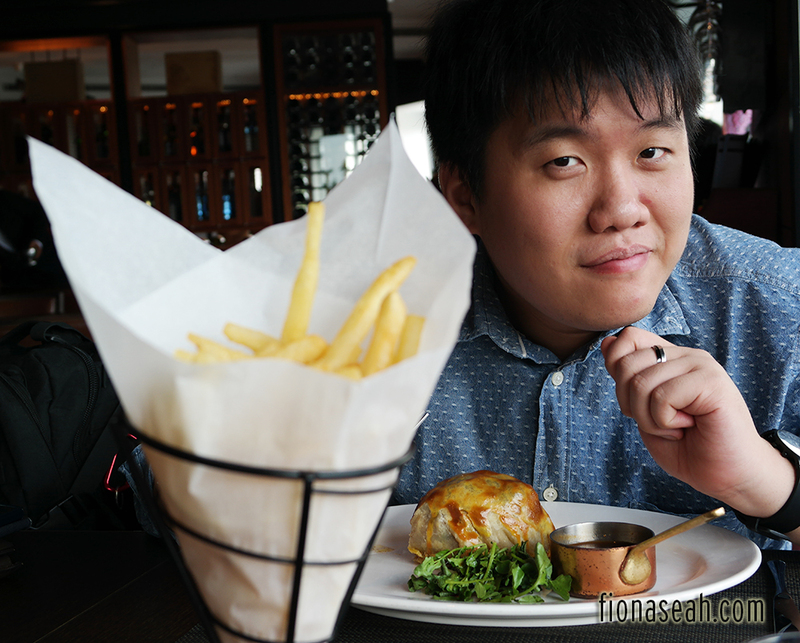 Ever since trying my first Beef Wellington at SKIRT a few months back, I (or rather, Bf and I – the ultimate gluttons) have been on a lookout for more restaurants that serve that dish. No many places do in Singapore unfortunately because I don’t know, it’s more challenging as compared to preparing a steak so not many chefs know how to do it well? 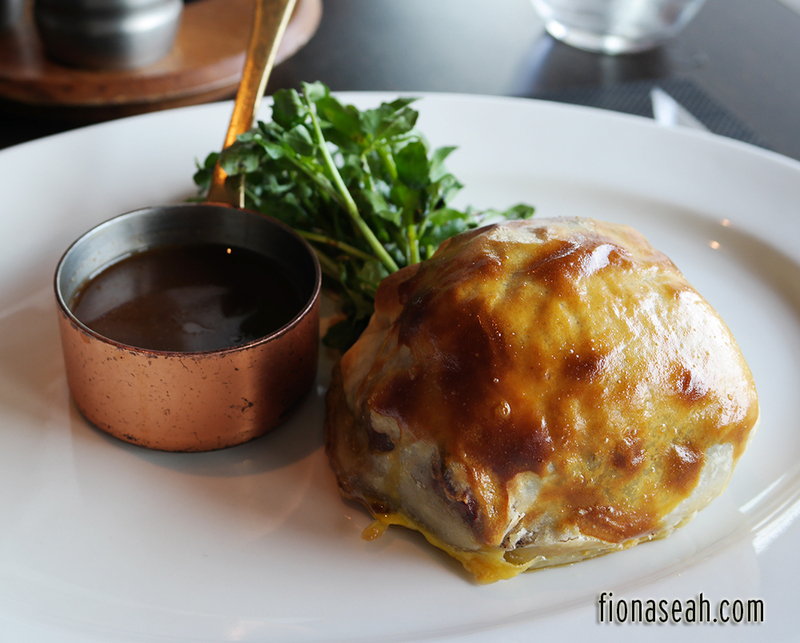 I think the number of restaurants that serve good Beef Wellington here can be counted on the fingers of one hand. And one of them is Wooloomooloo! The name is like Mississippi – it’s long but I don’t mind saying out the name in its entirety because it’s so fun to mouth the word. 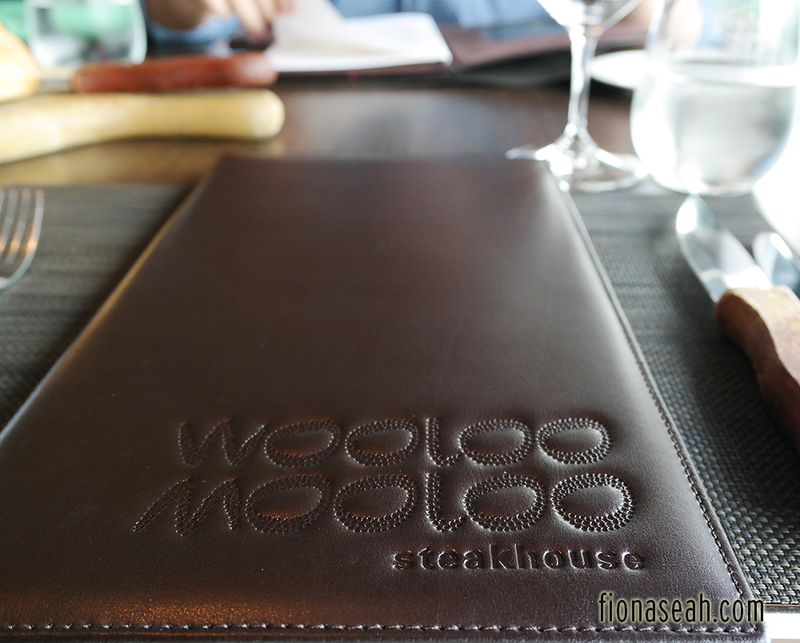 I’m not sure why it’s called Wooloomooloo but the most probable meaning could be derived from Woolloomooloo, the name of a suburb in Australia. But the restaurant originated from Hong Kong so…. ok. Who cares? What’s more important is the food right? To be honest, I was contemplating between Wooloomooloo and SKIRT for Bf’s birthday in August but opted for the latter in the end as the price seemed a tad lower. But I was so damn wrong because I forgot to take into consideration the admission fee (S$2 per entry if I remember correctly) and the hefty taxi fare from Suntec City to Sentosa. And getting out was a struggle because the hotel is tucked so deep inside the residential area of Sentosa that hardly any empty cabs would drive in, so concierge had to book a taxi for me (and I had to bear the booking fee). 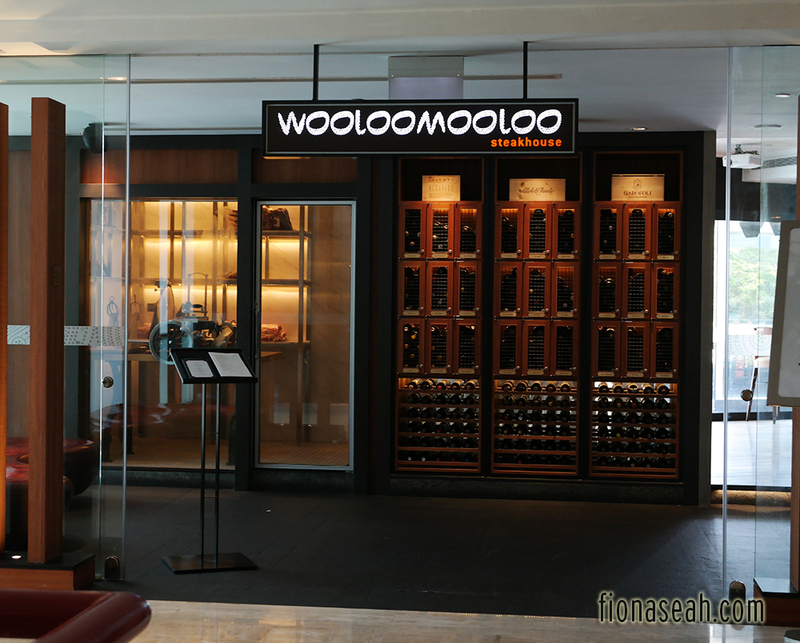 But Wooloomooloo is different as it’s conveniently located at Swissotel The Stamford/Raffles City, just above City Hall MRT station. Bf took me there to celebrate my birthday on Wednesday but actually we had already been there once before. We returned because the pictures taken during our first visit were horrible haha. 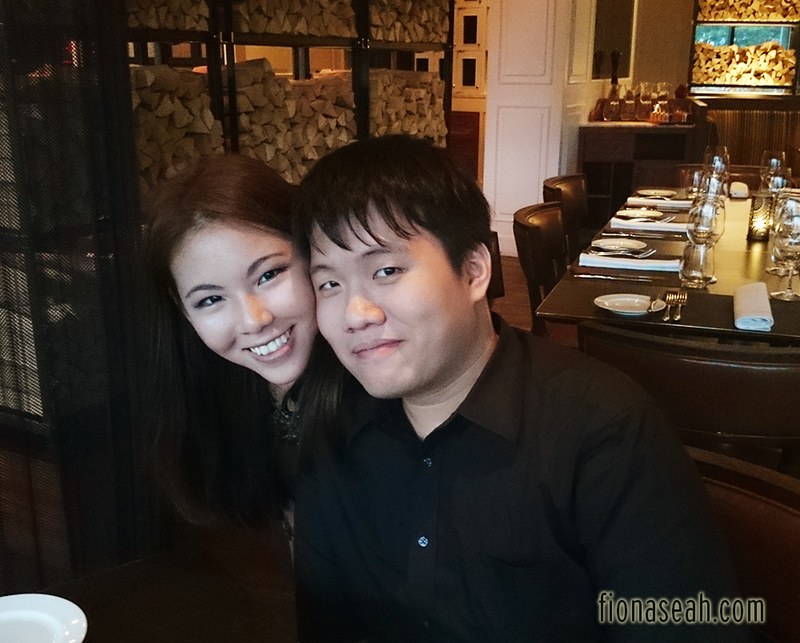 So this time we had lunch instead of dinner when there was sufficient natural lighting. Anyway, the restaurant isn’t very visible on the third level of the mall because it’s hidden at one corner. I guess they can afford to seclude themselves since they’re already so popular and people who patronise the restaurant would have probably known of their existence. 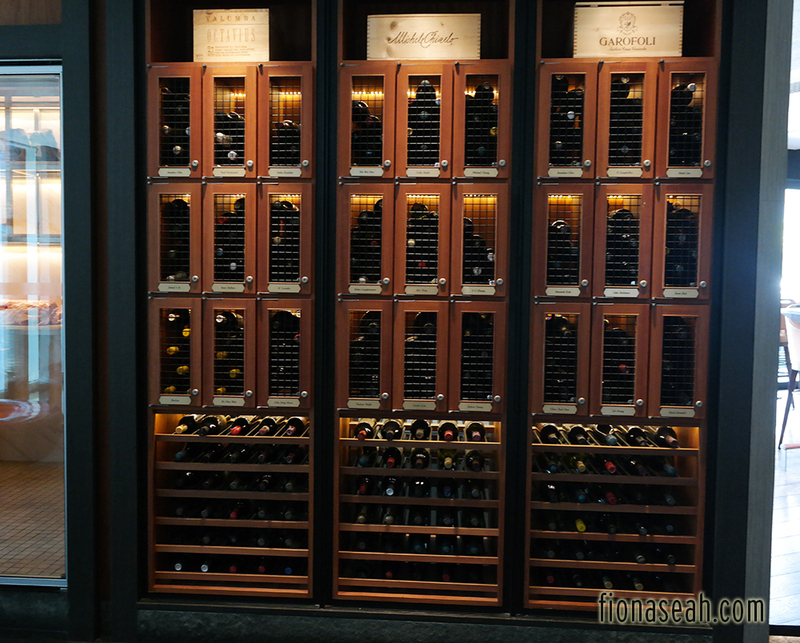 The restaurant is sectioned into 2 – one for dining and the other for drinking. This is their bar! We had still mineral water called Acqua Panna. This is a fine dining restaurant so this is their iced water. 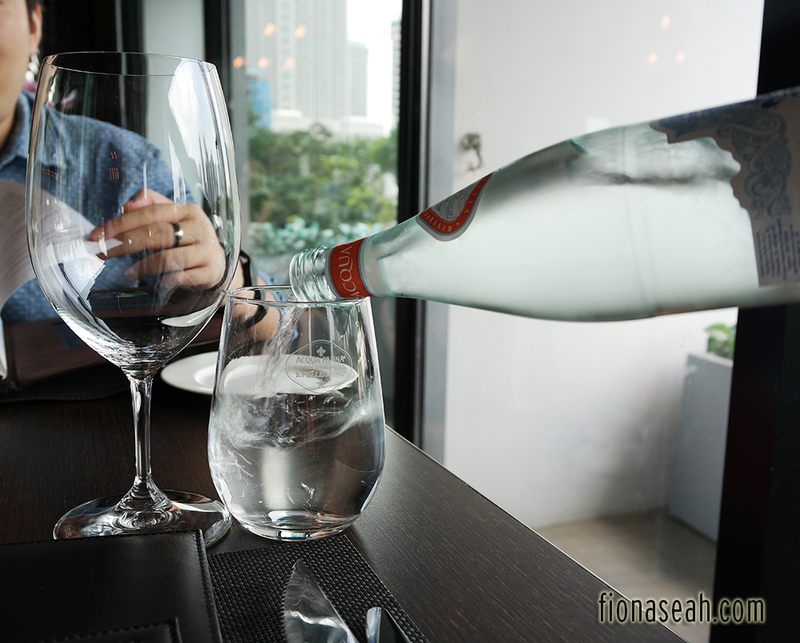 For people who constantly lament about having to pay for iced water in eateries, I suggest you stay out of Wooloomooloo (and other fine dining restaurants) because they charge at least S$12 (excluding taxes) for a bottle of iced water. 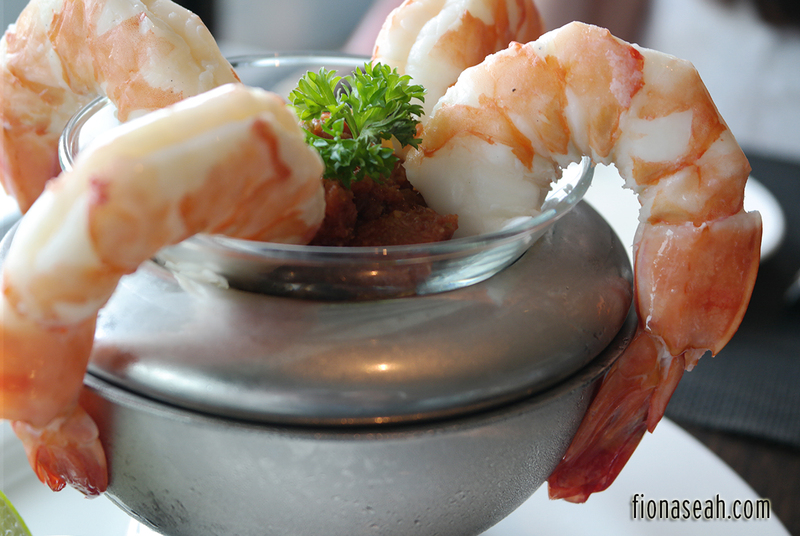 This Acqua Panna costs S$12++ by the way. 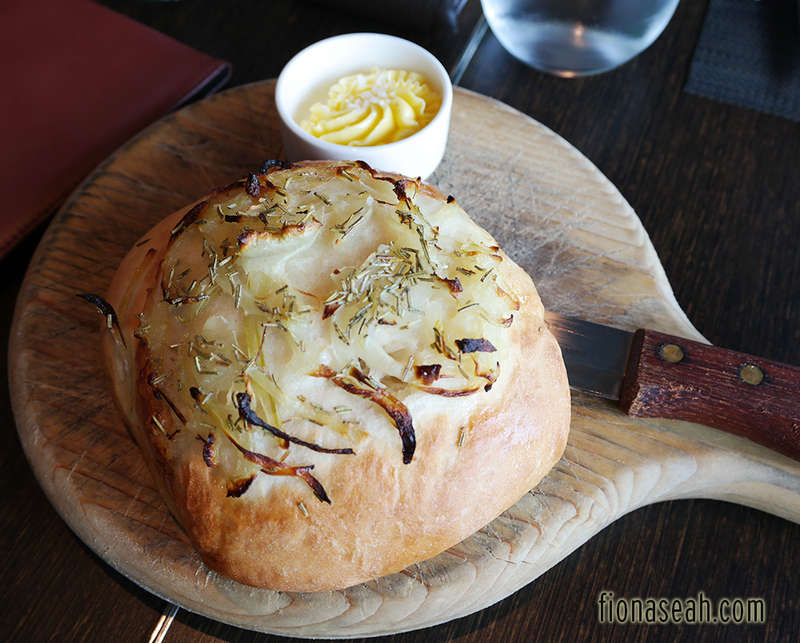 Complimentary onion bread. Think it’s called Focaccia Bread. 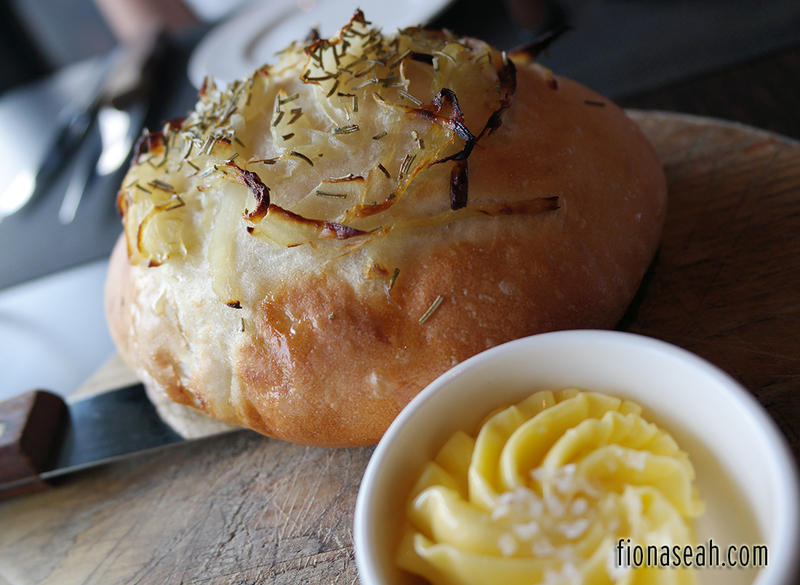 Almost immediately after we placed our orders, we were served piping hot onion bread to boost our appetite. It’s huge and thick (but just right for two) – about the size of my hands placed together or even bigger, and it’s absolutely delicious. Some other restaurants serve complimentary bread that’s so difficult to slice and chew but this is smooth and not tough at all. It also has the right amount of saltiness spread evenly across the surface. The butter. It’s so, so good, so smooth and not oily at all. And it went very well with the bread. Not a single bit of butter was left in the end. May I interrupt this post with a photo of myself? Haha. Here’s me, the birthday girl, trying to act cute. Bf was itching for seafood so he ordered prawns which were so fresh that I had no problem removing their tail with my utensils. Served cold, they were meaty and juicy but a little tasteless on its own. 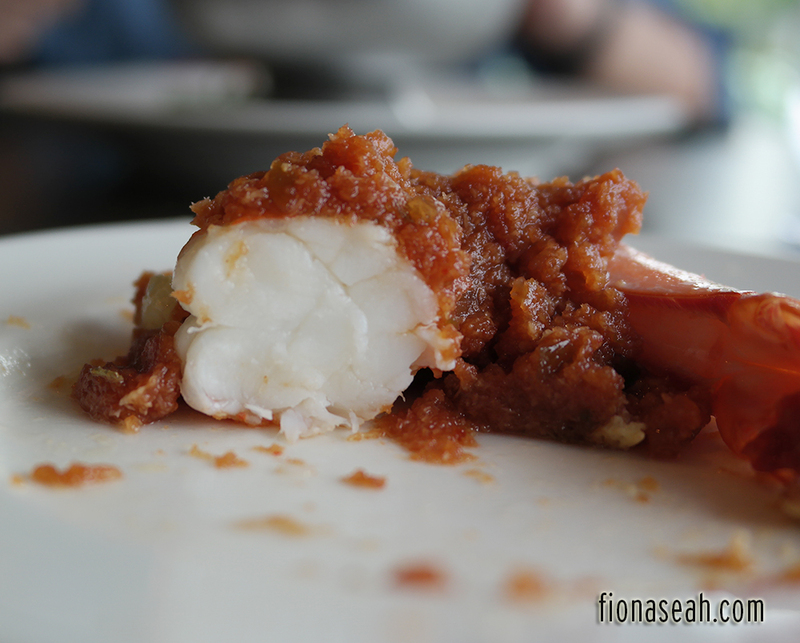 That’s why the dish came with a special sauce to go with the prawns. It’s a thick paste that resembles belachan and it’s bearably sour. I couldn’t really tell what the sauce was made of but the tomato taste was pretty distinctive. I had craving for fries so poor Bf complied with my request. But I don’t feel sorry at all (oops) because the fries were DAMN GOOD. 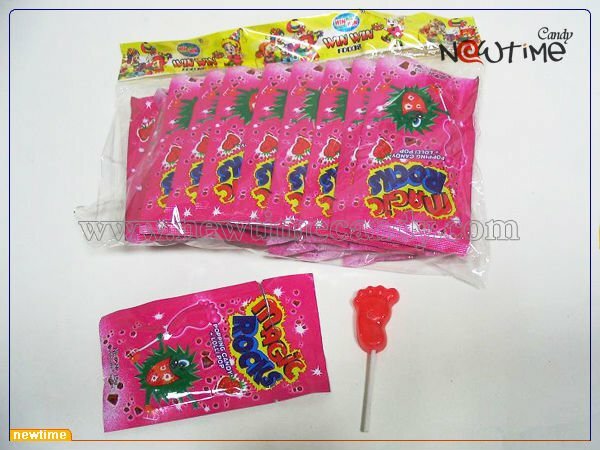 They were given in very generous amounts (duh, so expensive of course must give more right) and so addictive. 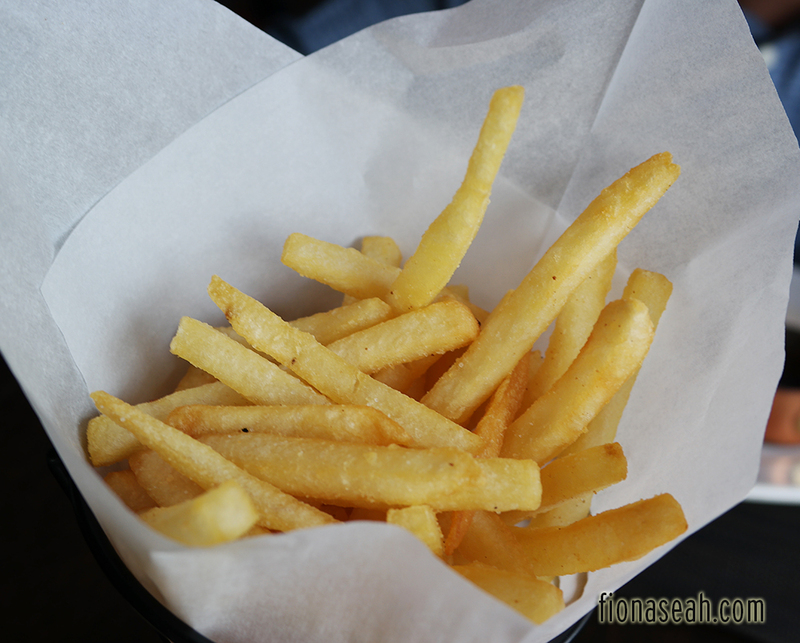 The fries were thick, crispy on the outside but mashed nicely on the inside. They’re so fresh, breaking apart easily with one bite. On top of that, the crispiness remained even after 15 minutes. 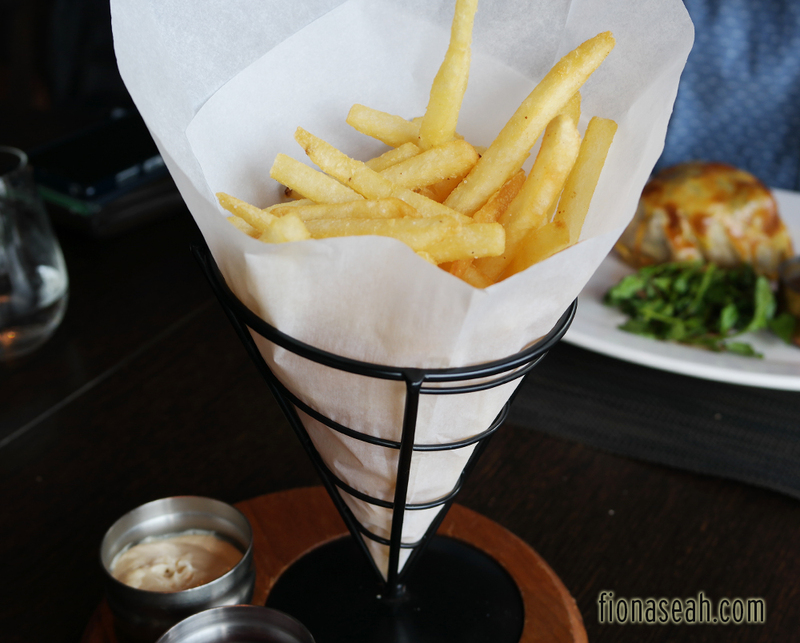 This is definitely comparable to the fries (my other favourite) at db Bistro Moderne at The Shoppes. All my lurveee in one photo. What’s that you saw in the picture above? Served with Red Wine Madeira sauce. Done Medium Rare. Look at the pink juice oozing out from the meat. Ooooh…. 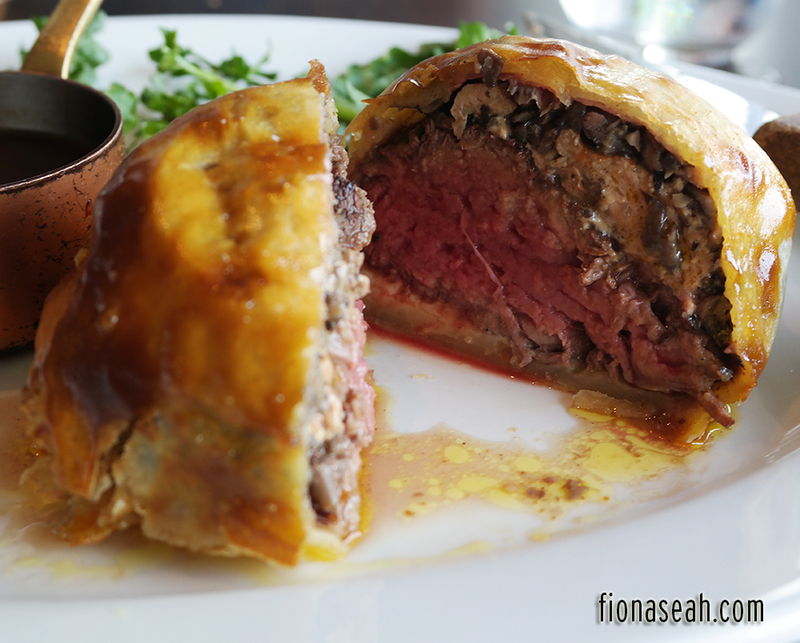 The Beef Wellington is described as an “Australian filet mignon with mushroom duxelle, wrapped in Parma ham, topped with Foie Gras & wrapped with puff pastry.” You could literally see layers of the mentioned food encased in pastry in the picture above. Thus it’s actually not easy slicing it nicely with everything intact. Beef was juicy (pretty apparent right?) and tender. I love everything in the pastry, especially those mushrooms and Foie Gras. But the smell of the pastry can be a little revolting. It’s probably just me because Bf thought it smelt nice. 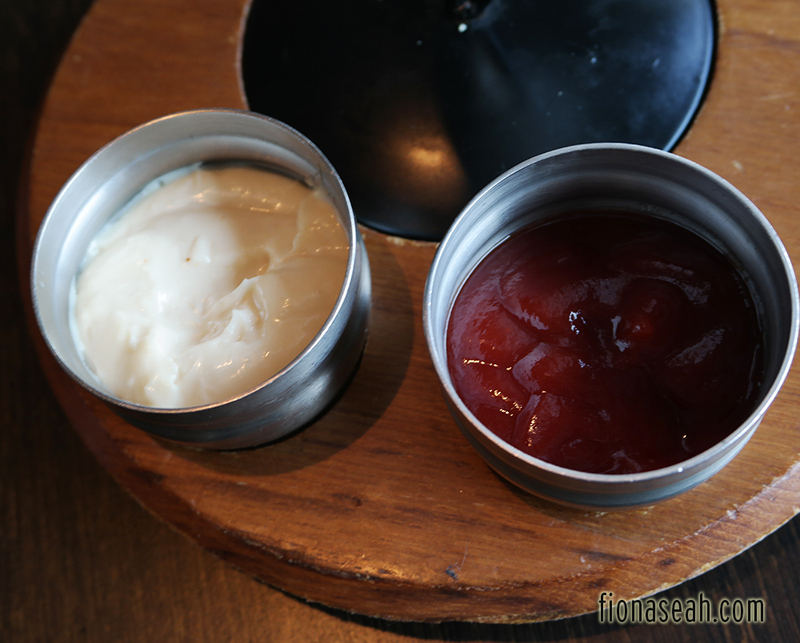 The first time we dined there, we were also given a choice of four gourmet mustards. I didn’t catch the names but Google tells me that they were Dijon, English, Granary and Green Peppercorn. I can’t remember which tasted like Wasabi and ordinary mustard but one was spicy. I enjoyed dipping my beef into the spicy mustard. Haha. Strangely, we weren’t served those mustards the second time we went. I felt that the service staff were less attentive this time. Unlike our first visit (dinnertime), no one bothered to ask if we were celebrating anything. I was actually looking forward to see what they had in place for birthday celebrations. But thankfully (for them) I was really full after the Beef Wellington so Bf didn’t bother asking. Haha. That’s what we had on the eve of my birthday. 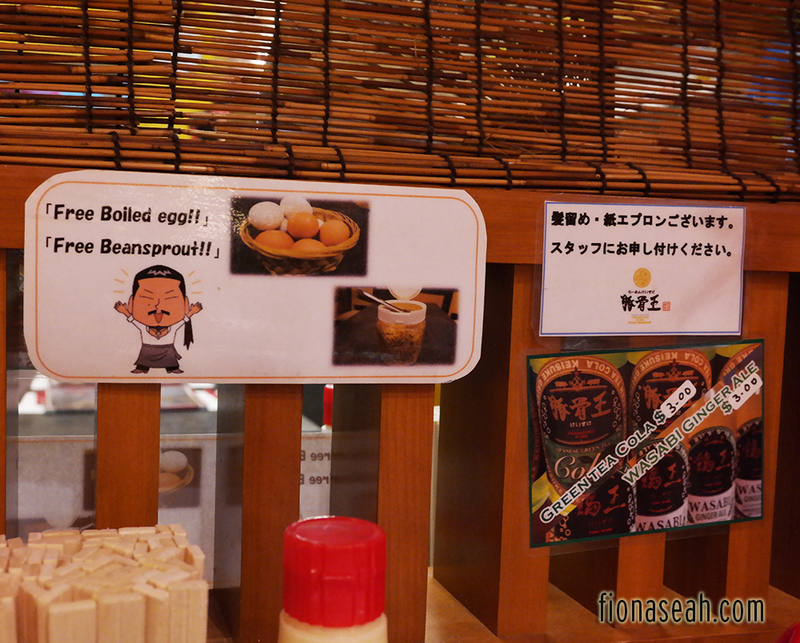 Here are some other food items we had on our first visit. The pictures are of lower resolution because I took them with my phone (and we were gradually losing all the natural lighting because dusk was falling). 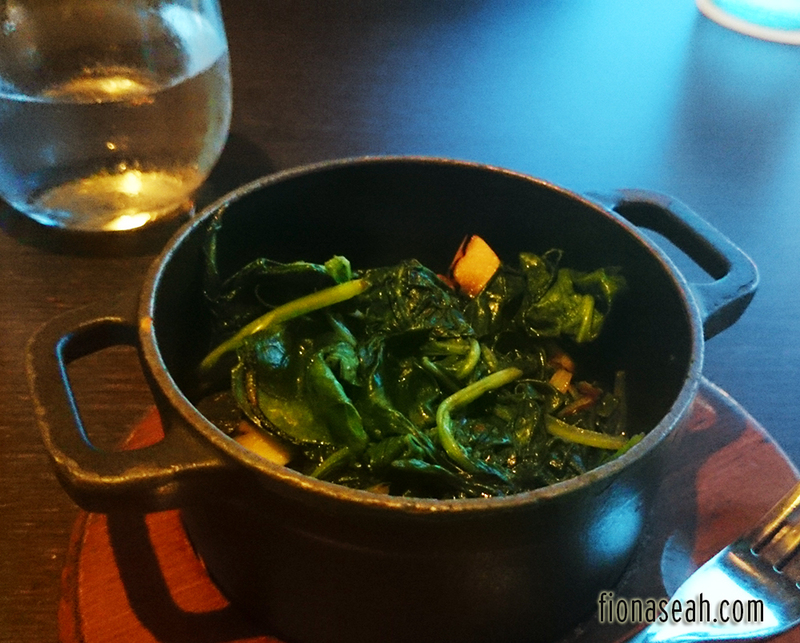 Sautéed Spinach with Mushrooms (S$14++) and this was a wrong order. Good service nonetheless. I don’t like Spinach (weird aftertaste and subtle numb feeling on the tongue after consumption) at all but I was so touched by their kind gesture that I ate quite a lot of it. Hehe. Both were priced the same, but I feel that the Sautéed Wild Mushrooms would be a better and more worthwhile choice. 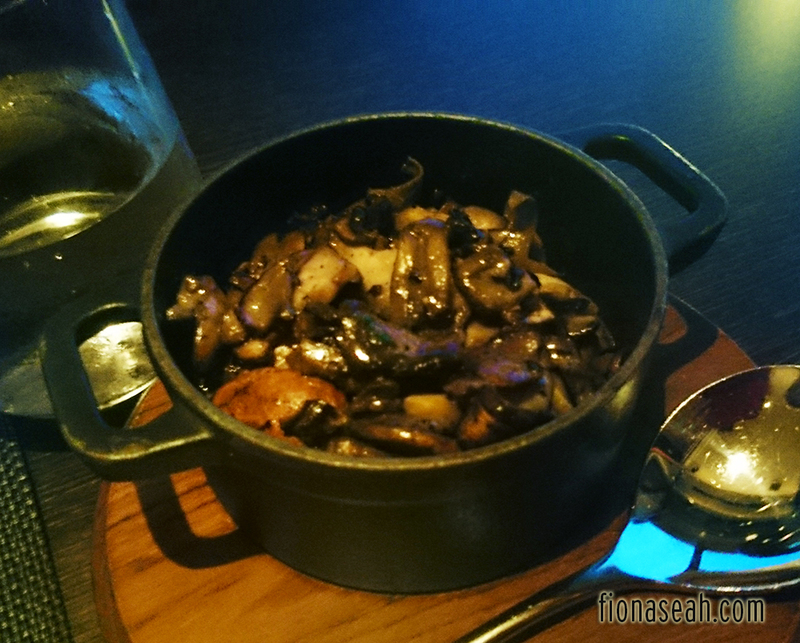 The potful of mushrooms are creamy and delicious and we almost couldn’t finish it because there were a lot of them! If you love mushrooms, this is a must-order! 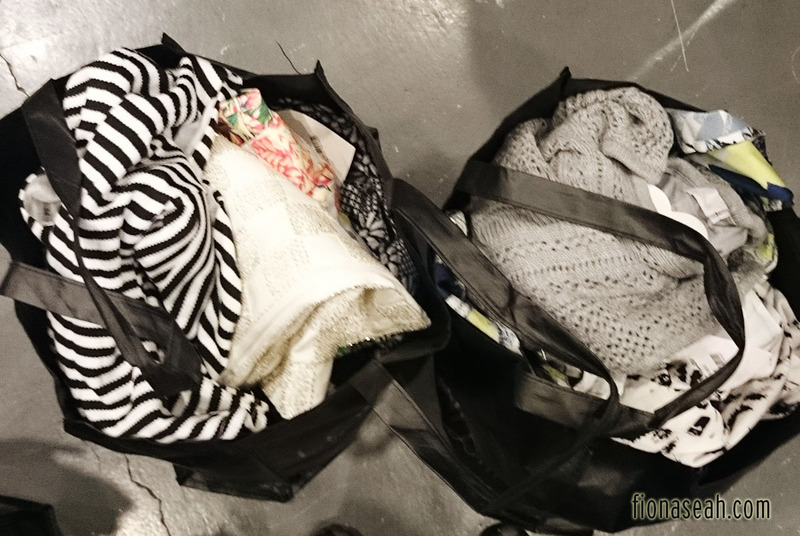 We spent about S$240 (after GST and Service Charge) on either day. If you’re planning to dine there, be sure to make reservation in advance! Somehow it’s always fully packed on Mondays. 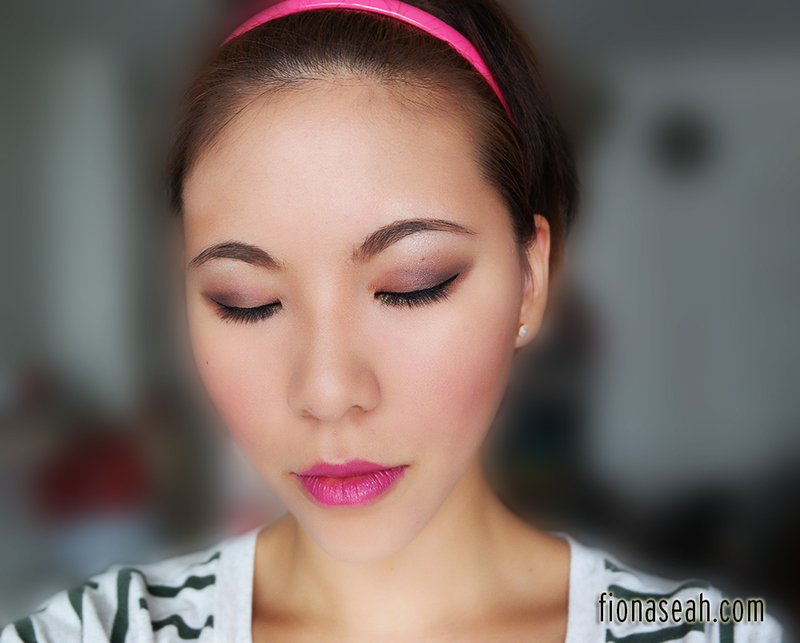 And since I’ve already reviewed about the lipsticks, this post shall be dedicated to Vice 3! I believe it’s one of the most highly anticipated UD items this year after Naked 3. 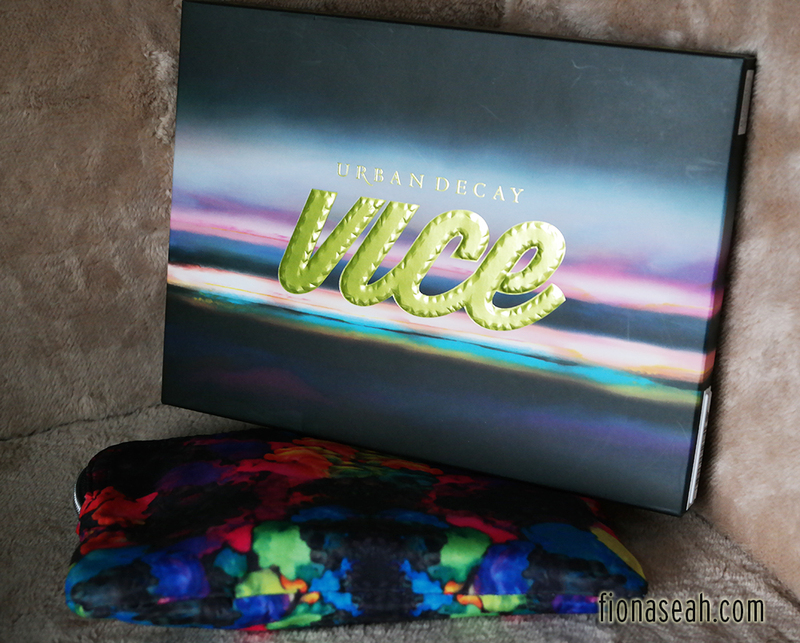 Freebies (the colour pouch below the palette) with every purchase of Vice3! 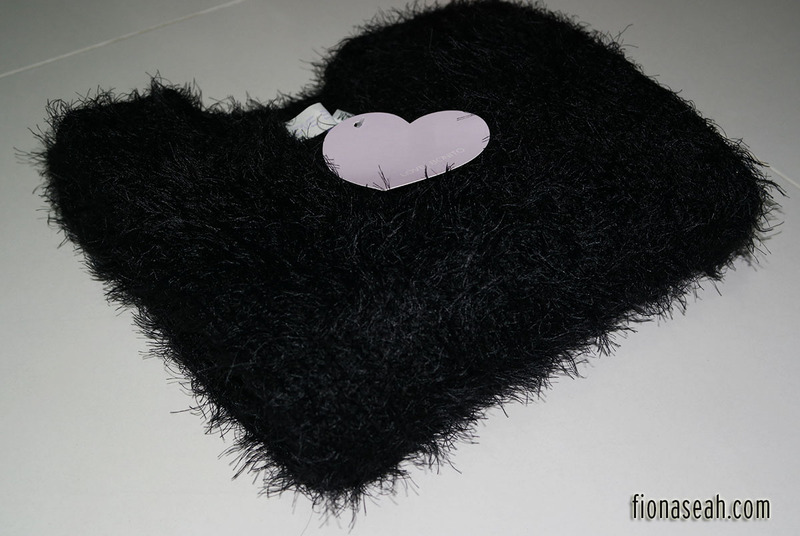 The palette comes with another pouch! The palette case itself is made of very smooth and durable material like Vice 2 (thankfully not Vice 1, because the NARS-like rubbery material attracted so much dust), making it slightly heavy. The “Vice” icon is neon-green jeweled to match the highly metallized green base. The entire packaging is really sleek and gorgeous! Like Vice 1 and 2, you’d be greeted with a huge mirror when you open the palette. There are also 20 new breathtaking yet feasible colours that you can use on a daily basis. Don’t be fooled by the bright colours because most of them do not turn out to be like that. 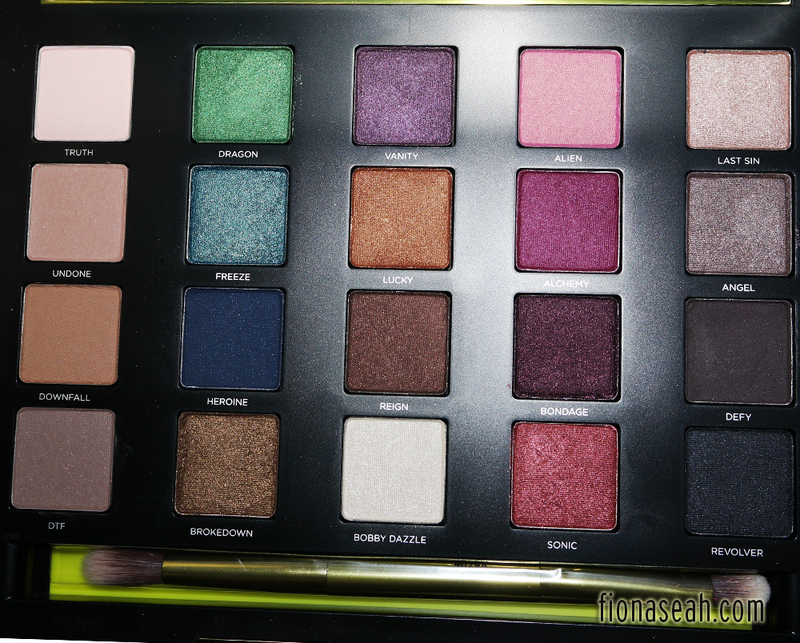 I love this palette because it has quite a number of pinks and purples. The neutral colours are also not too bold and vibrant. Comes with a double-ended brush, as usual. 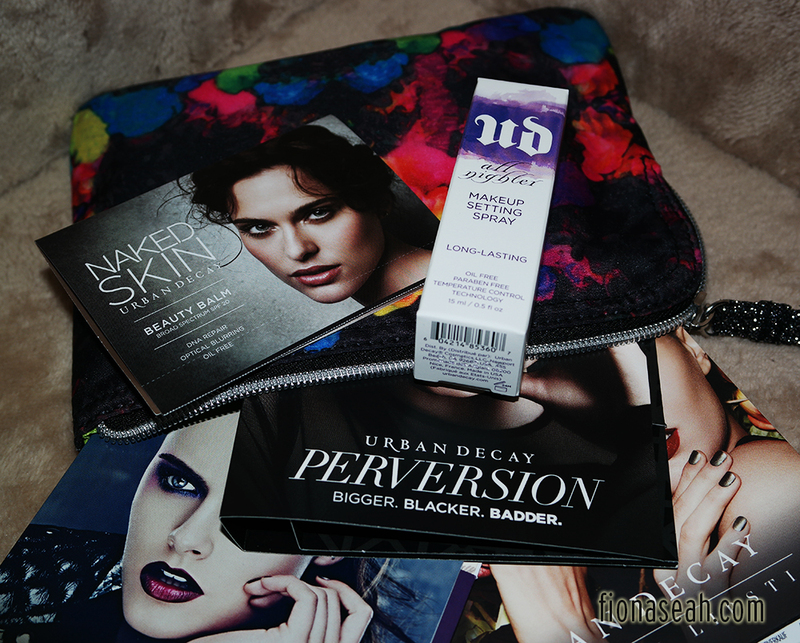 This palette comes with a brush which I won’t use because I’m not really a fan of Urban Decay’s brushes. They tend to be very prickly during use and sometimes my eyes would tear when I’m applying shadows on the inner corners and lower lids. I casually tested the Vice3 brush on my hand and could still feel the prick so yeah, I guess it’s still the same as before. Note: I use Sigma brushes. They’re the best so far! I actually adjusted the picture’s brightness on an editing software to make them show. 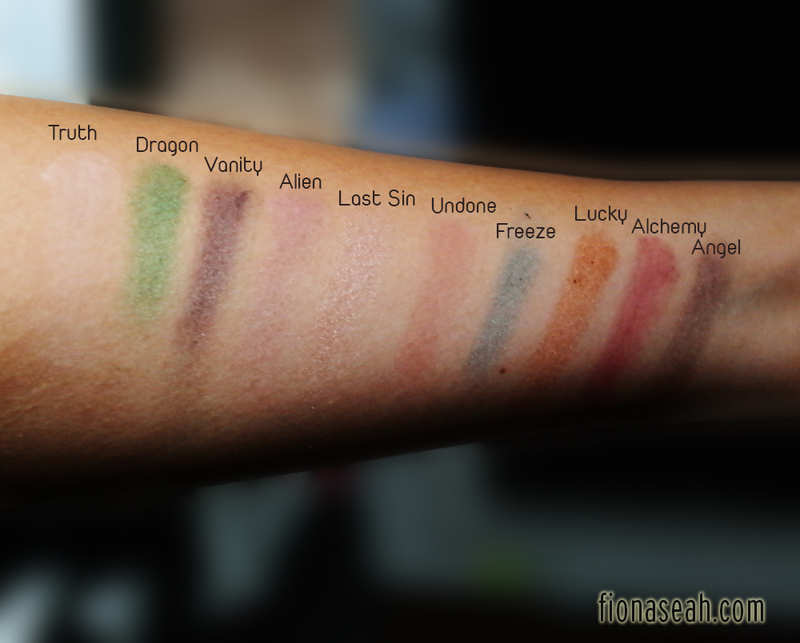 Before the enhancement, most of them (especially Truth, Alien, Last Sin and Bobby Dazzle) were pretty much invisible. Hope you guys can see it better now! The colours still stay true to the above pictures. 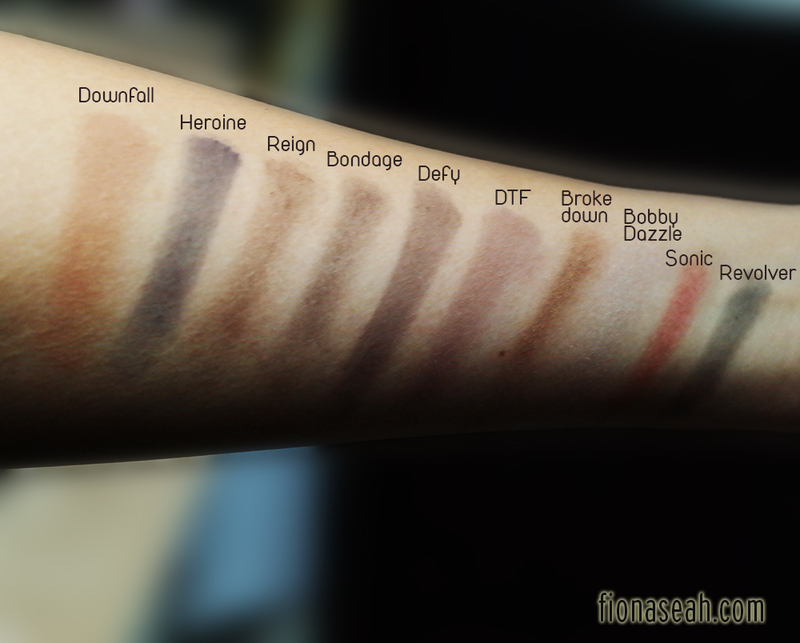 I only swatched all of them at most thrice on my hand and as you can see, most of the shades are not very pigmented (especially those in the first picture) – which can be both good and bad. 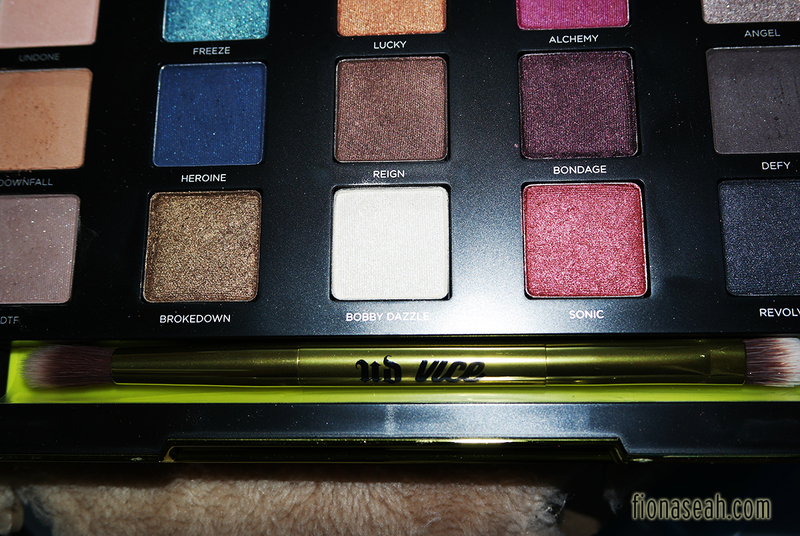 If you wanted an eyeshadow palette with great colour payoff, I guess you can give this a miss. But if you’re someone who doesn’t wear heavy eyeshadow, go and get it! Blended some browns with pinks. 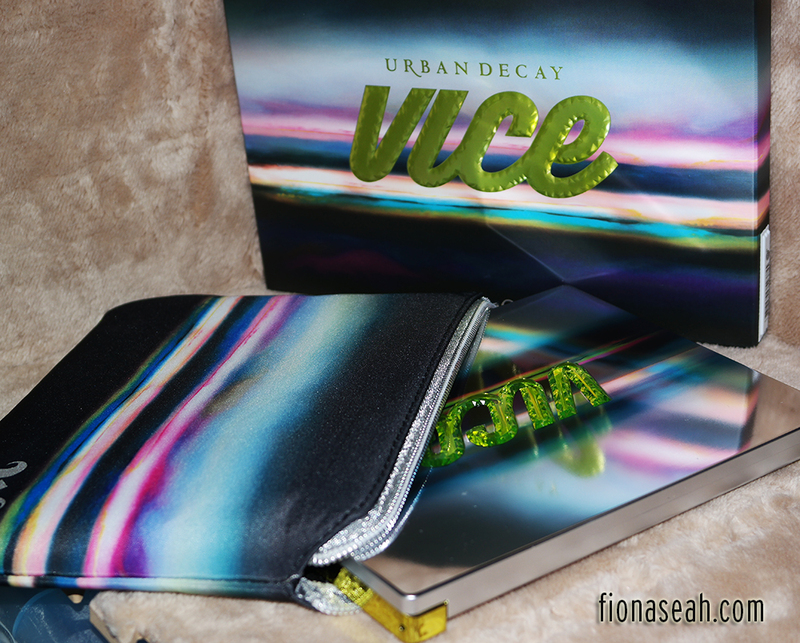 Vice3 is limited edition (or while stocks last) and they are retailing at S$88 in local Sephora stores. To avoid feeling the pinch, be sure to use your discounts (and I’ve been emphasizing this, repeating like a broken recorder in all my UD posts haha) when you pay! Amongst them are a mini All Nighter Makeup Setting Spray and several sample products. I was supposed to get a Deluxe B6 Vitamin-Infused Complexion Prep Spray but stocks ran out and so I was forced to accept the All Nighter spray. That’s fine too! 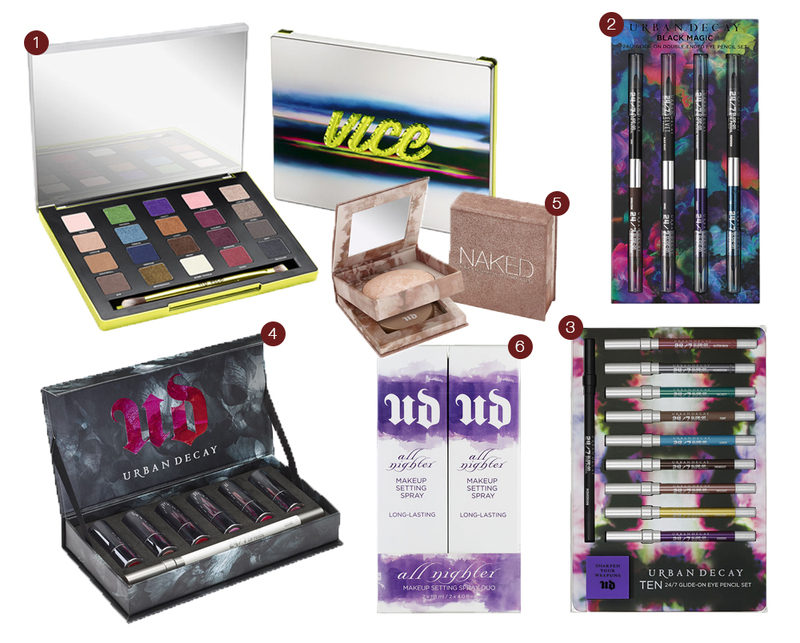 On top of that, if you bought at least S$100 worth of Urban Decay items, you are also entitled to a chance at their lucky dip where ONE lucky person could walk away with a Pulp Fiction palette! My luck with lucky dip has always been terrible so of course I went home without any prizes. Haha. That’s all for this post! 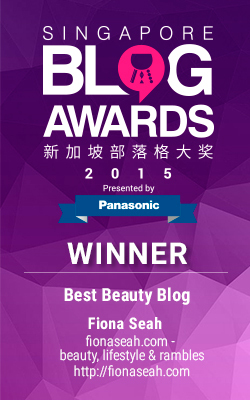 Oops, I’ve been bombarding my blog with too many beauty reviews! Don’t worry foodies, food reviews are coming up next!